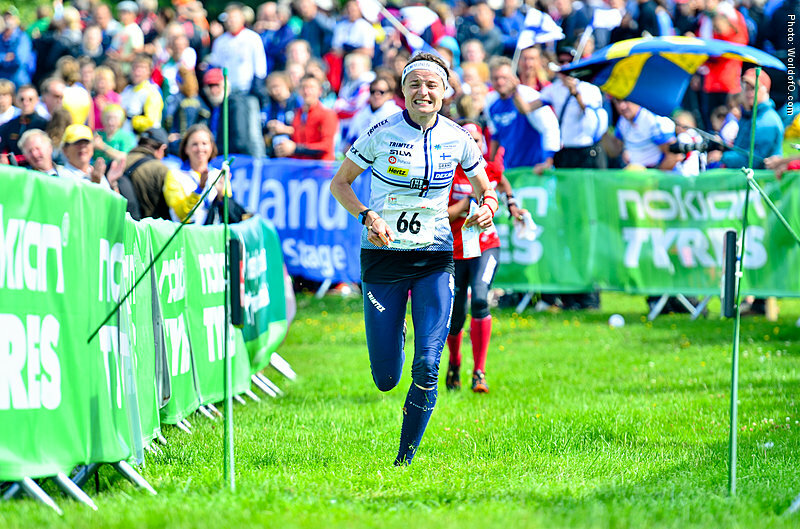 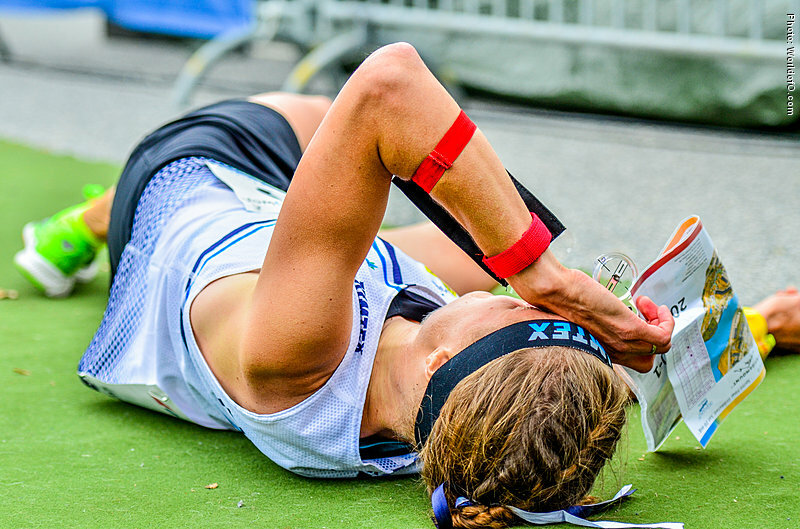 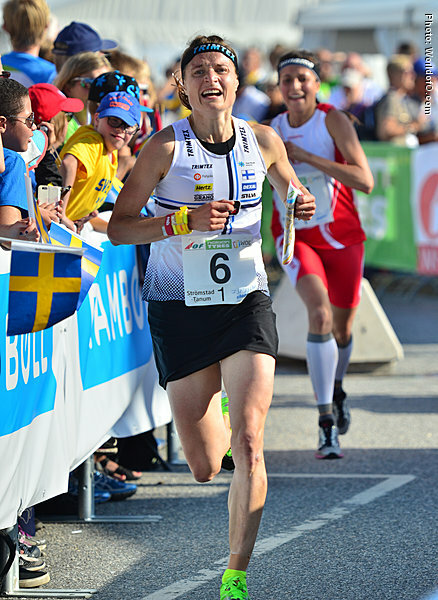 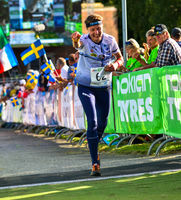 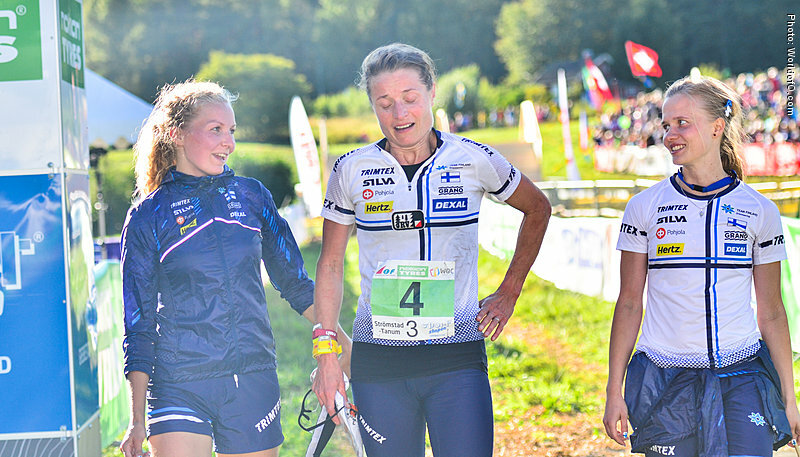 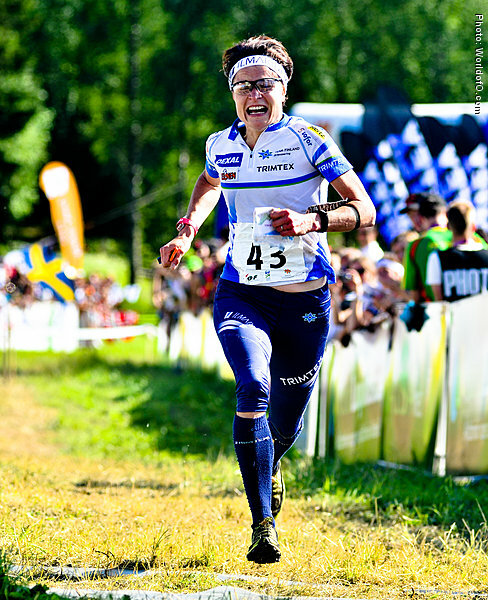 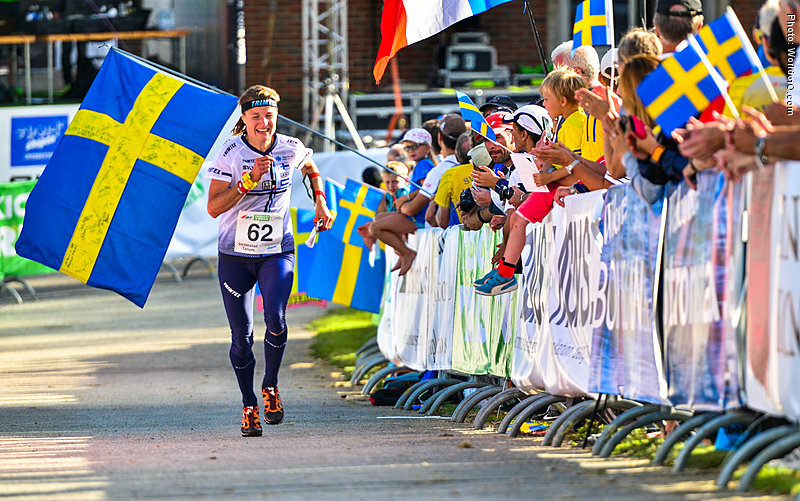 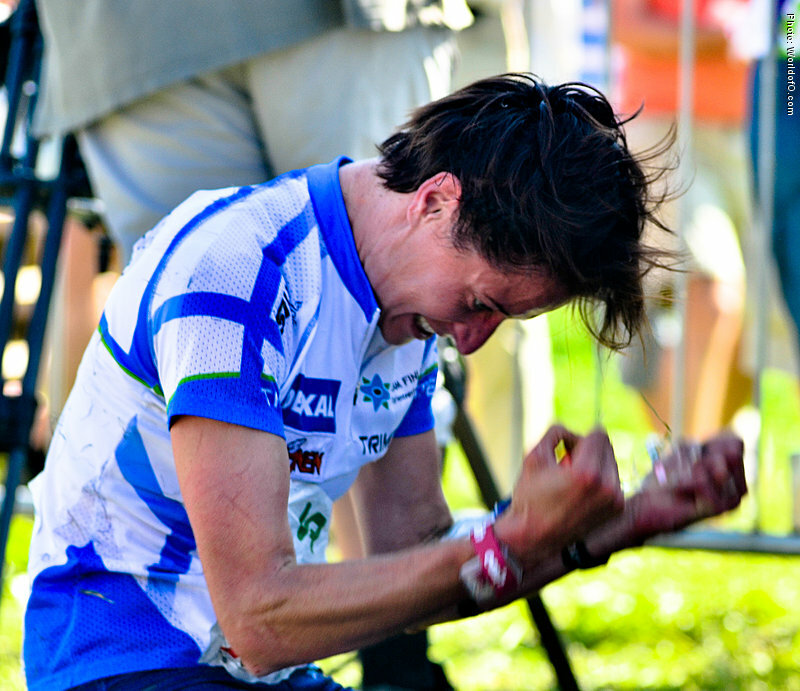 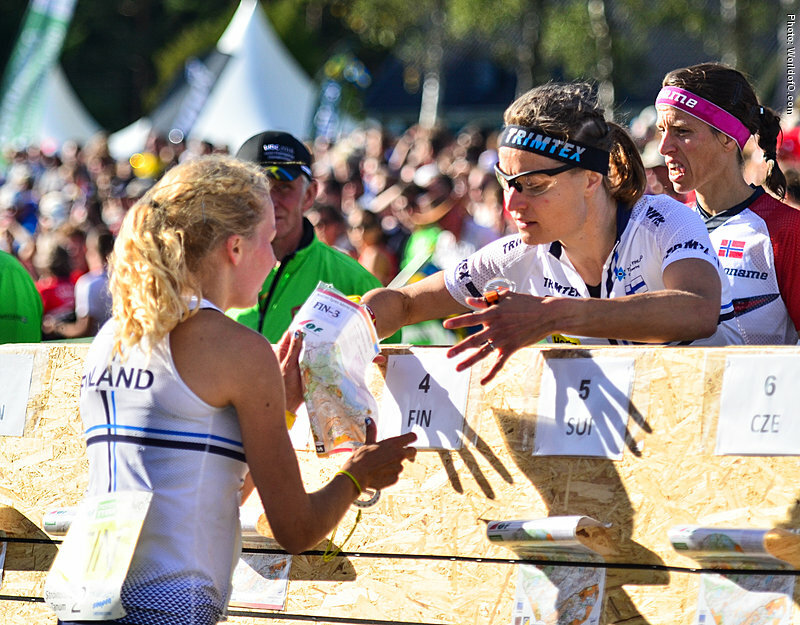 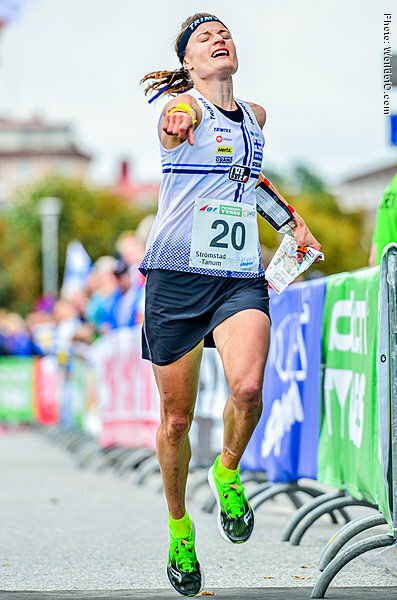 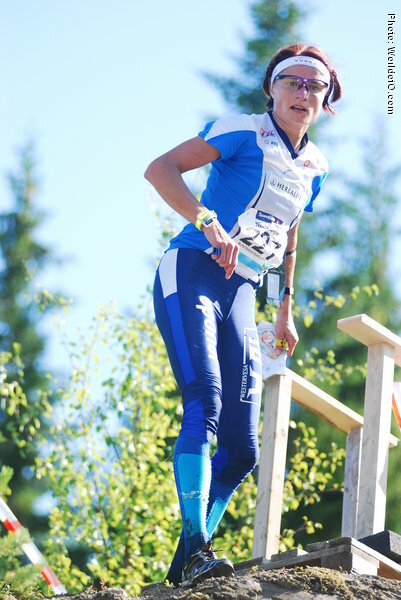 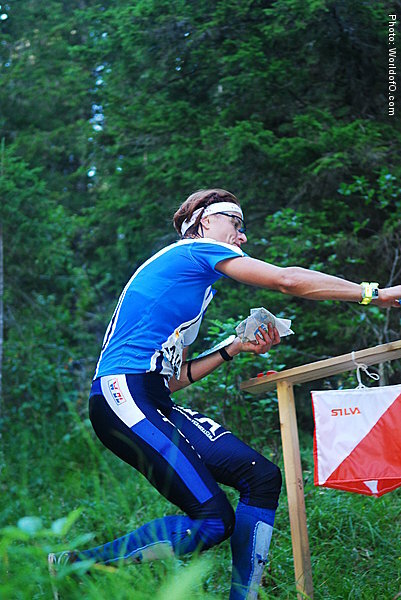 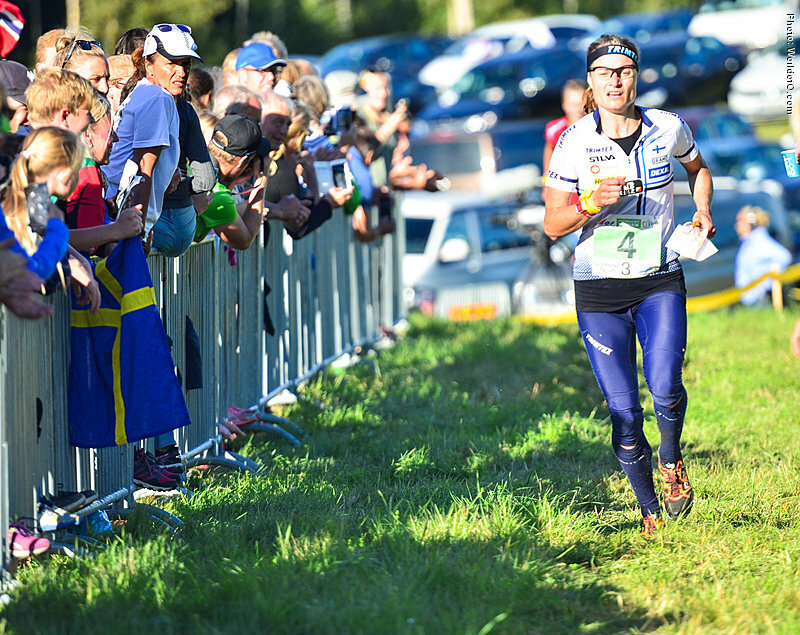 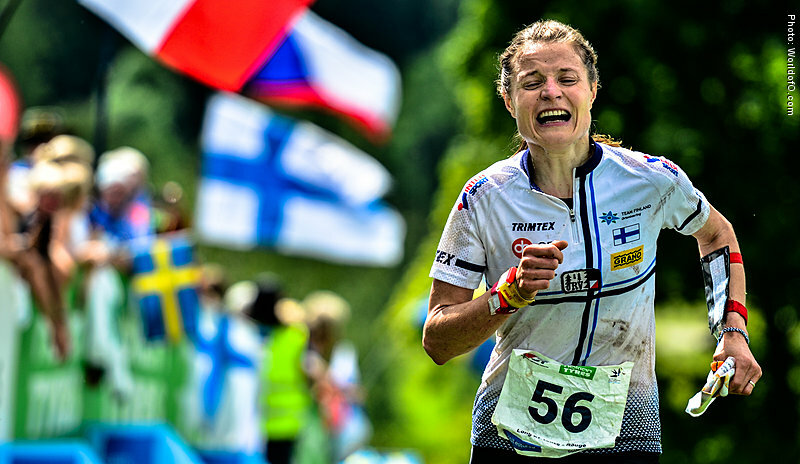 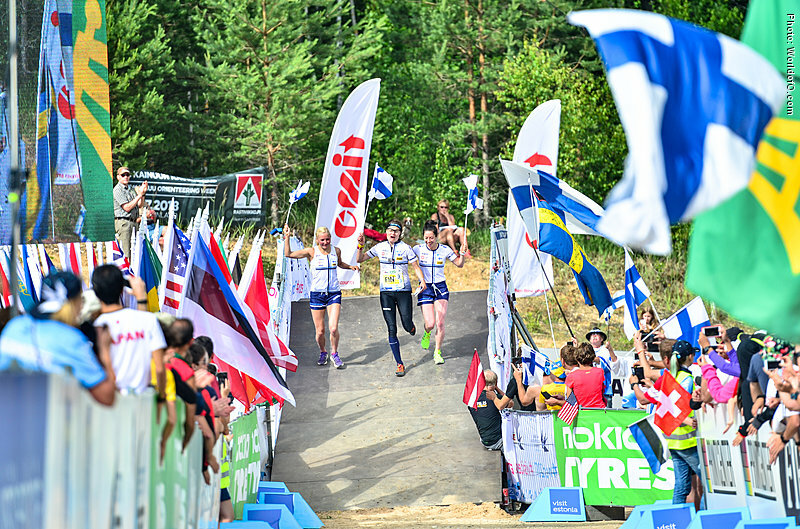 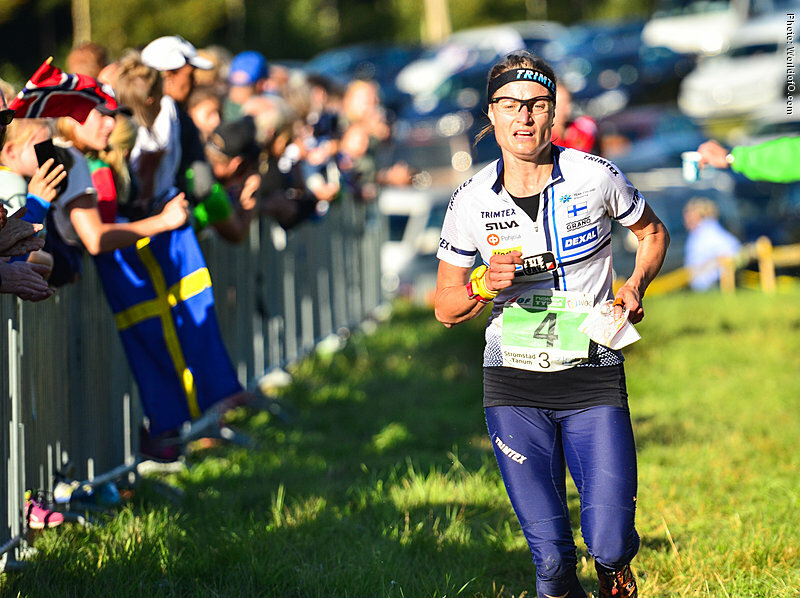 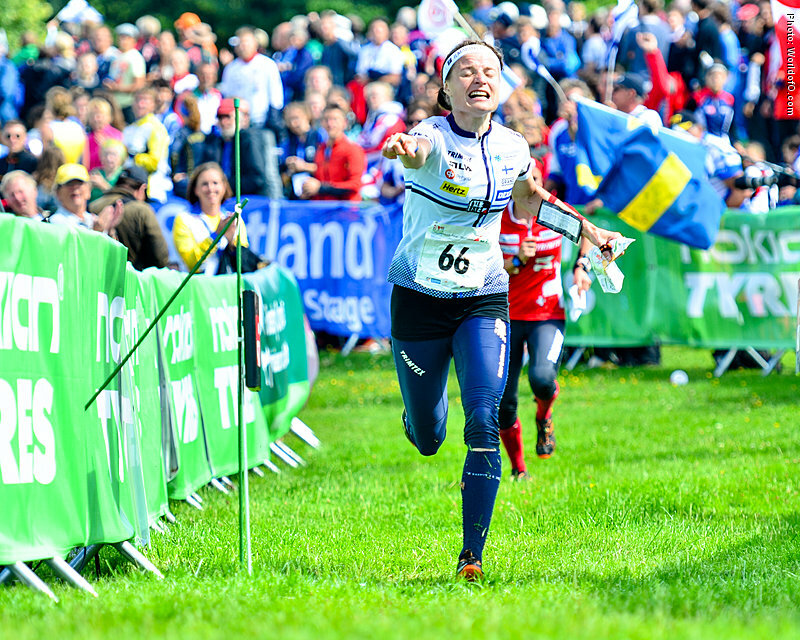 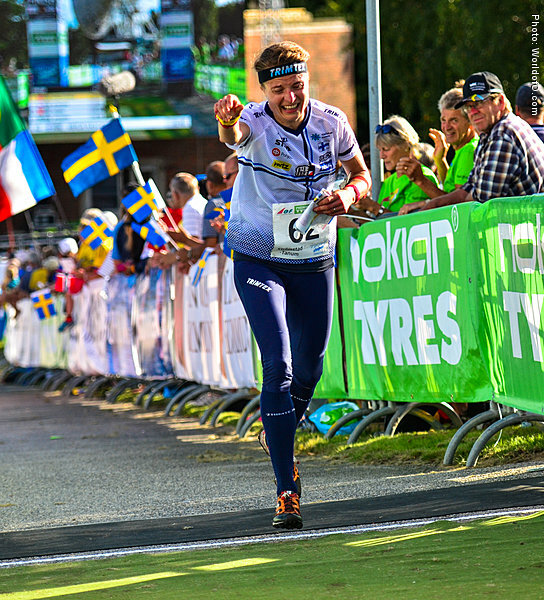 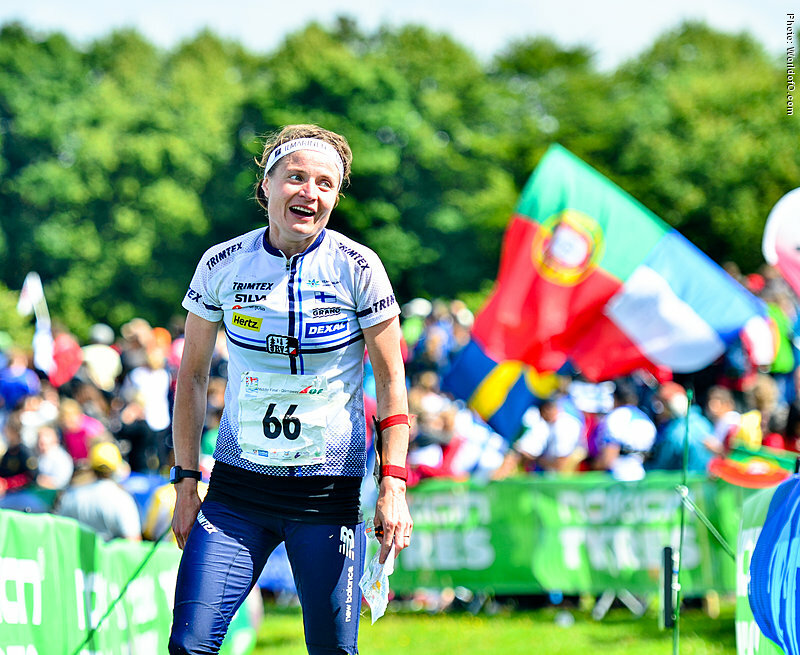 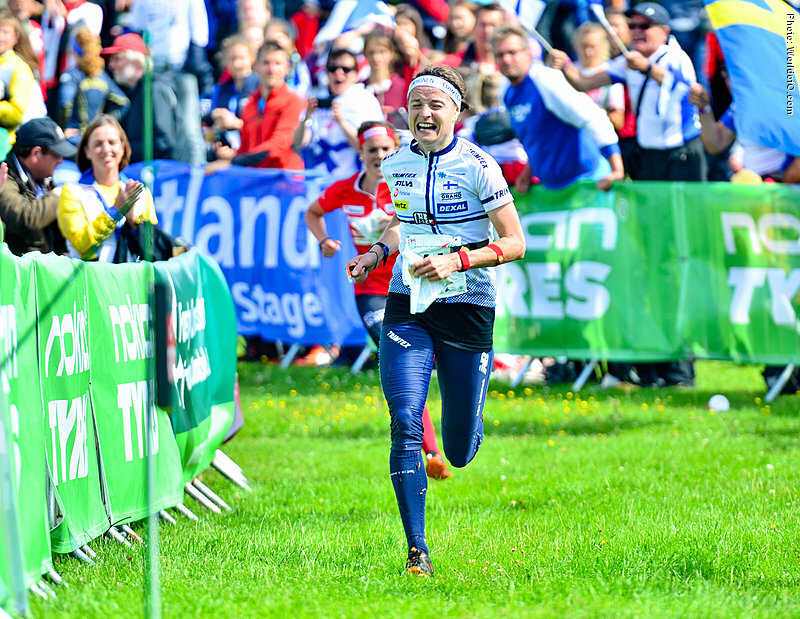 Bronze medal from WOC middle on homeground in Vuokatti, Finland in 2013 - seemed to be the happiest athlete of all after that race. 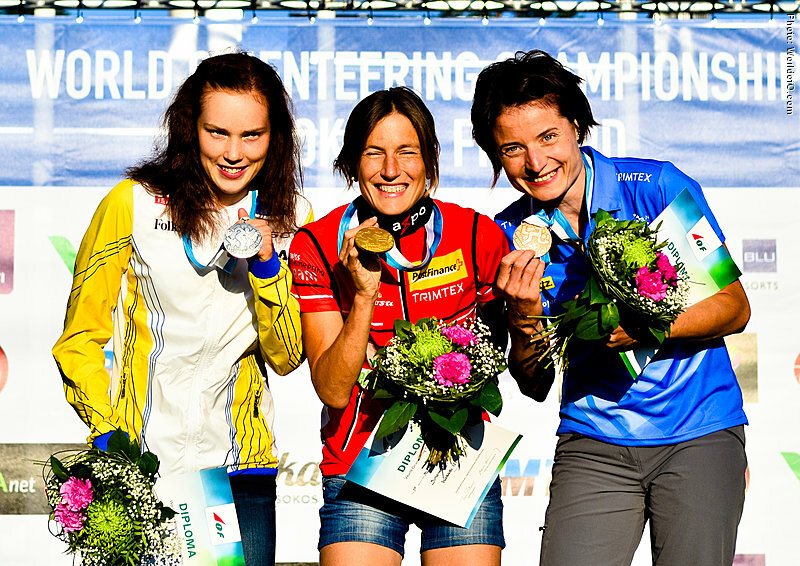 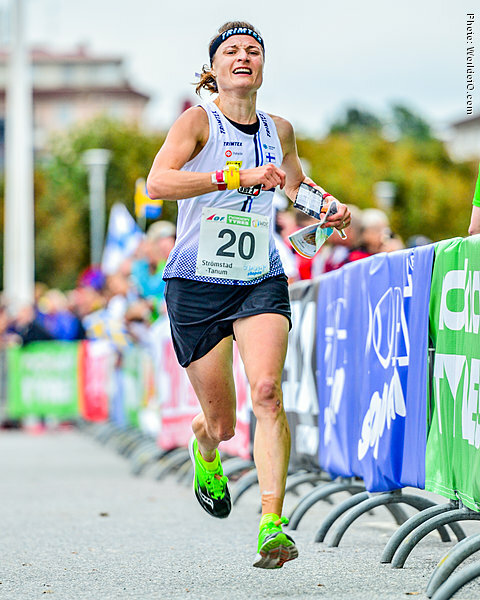 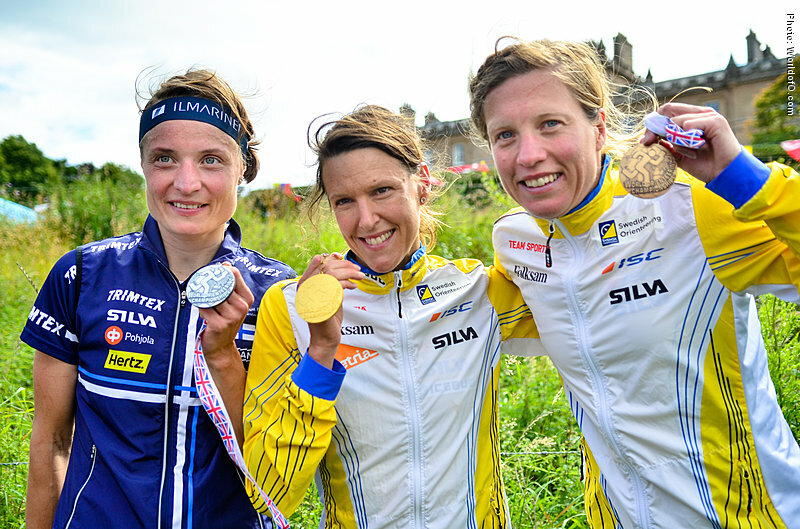 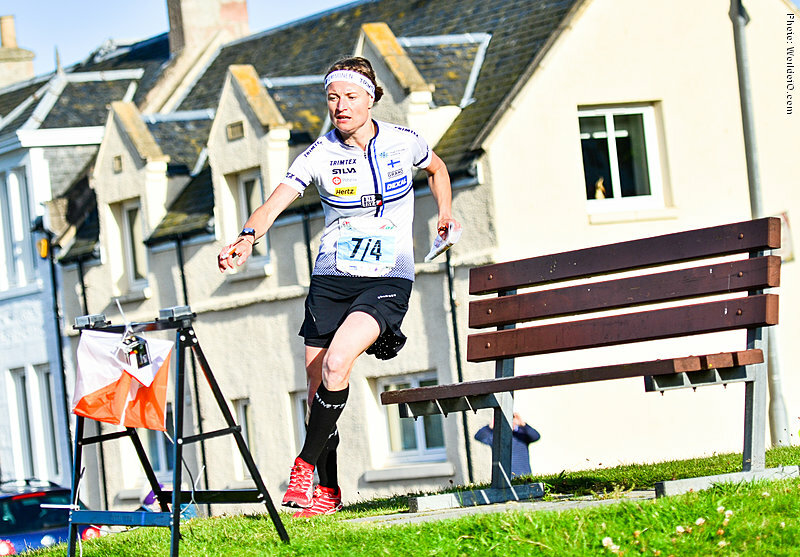 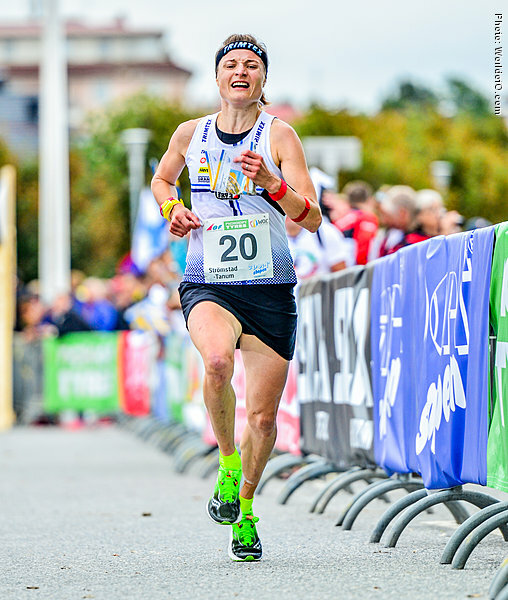 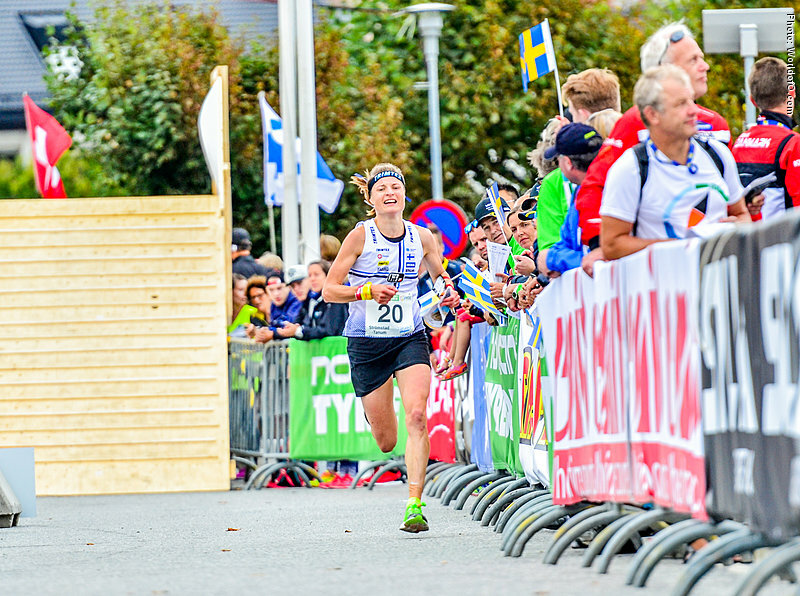 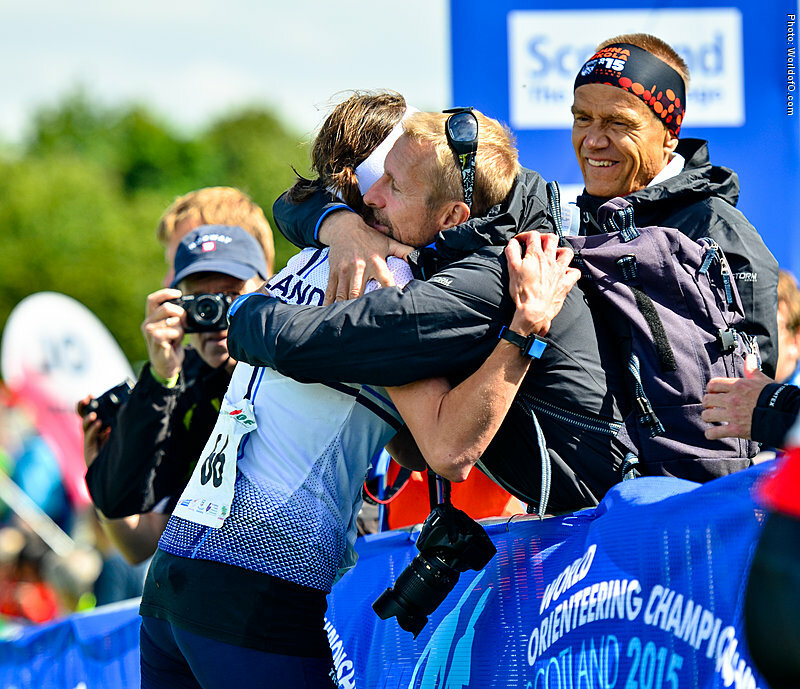 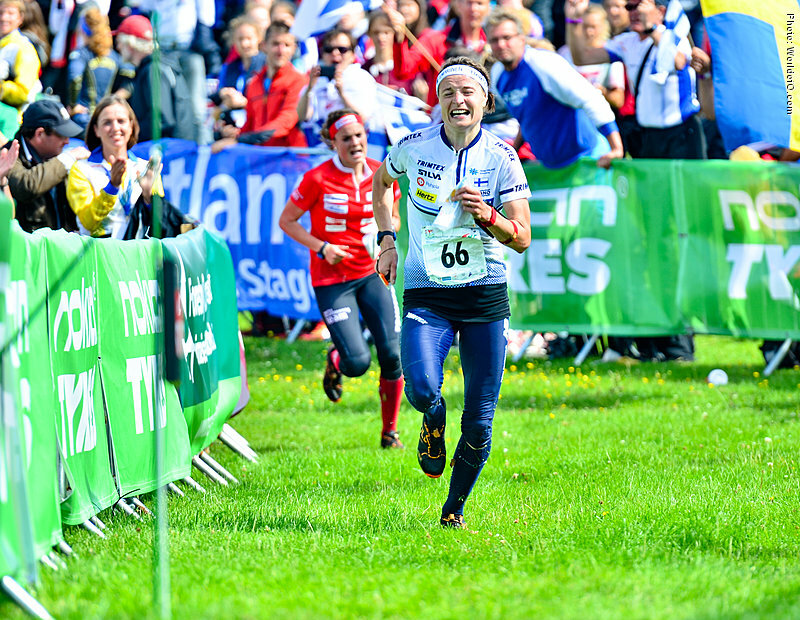 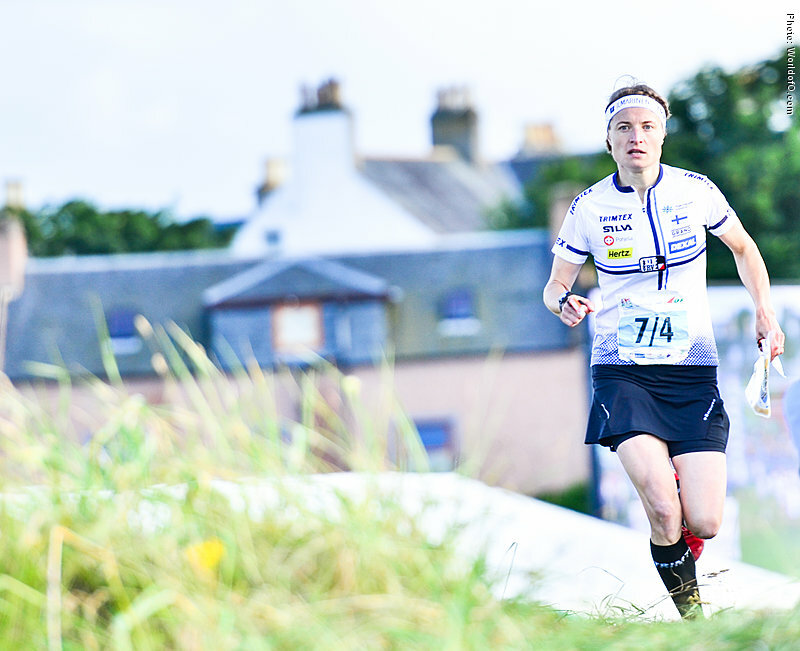 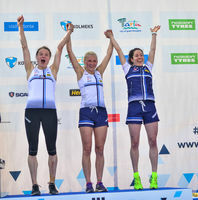 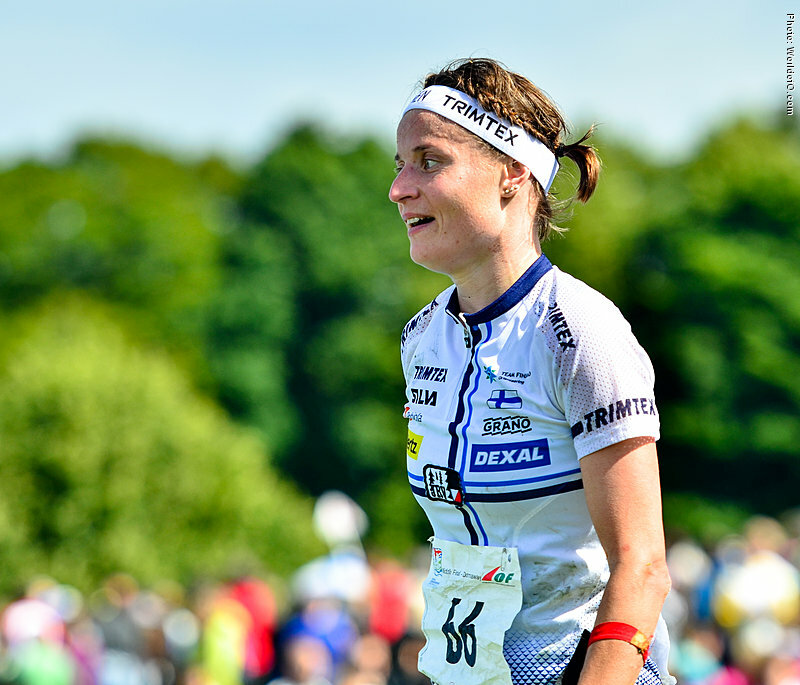 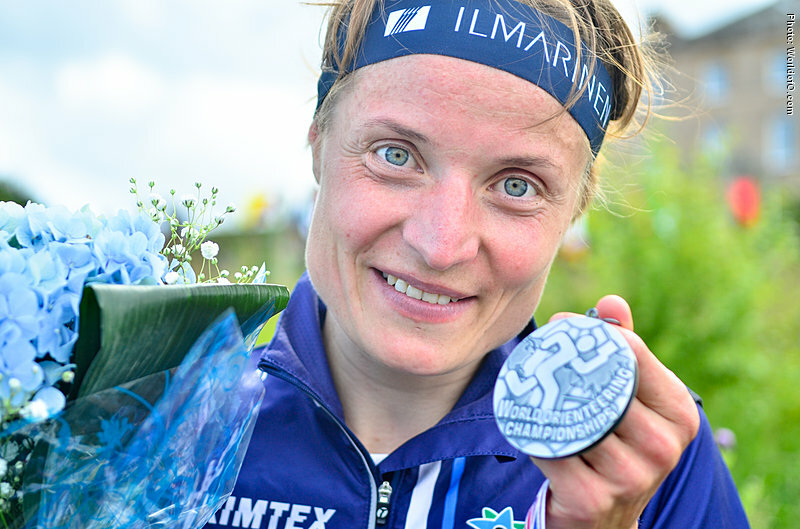 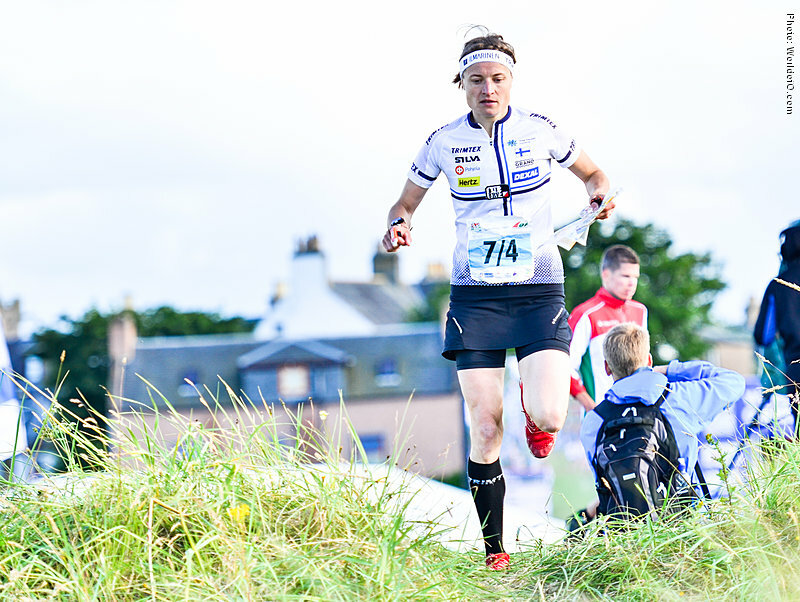 Two years later she climbed another step on the podium, taking a somewhat surprising WOC silver medal at the middle distance in Inverness, Scotland. 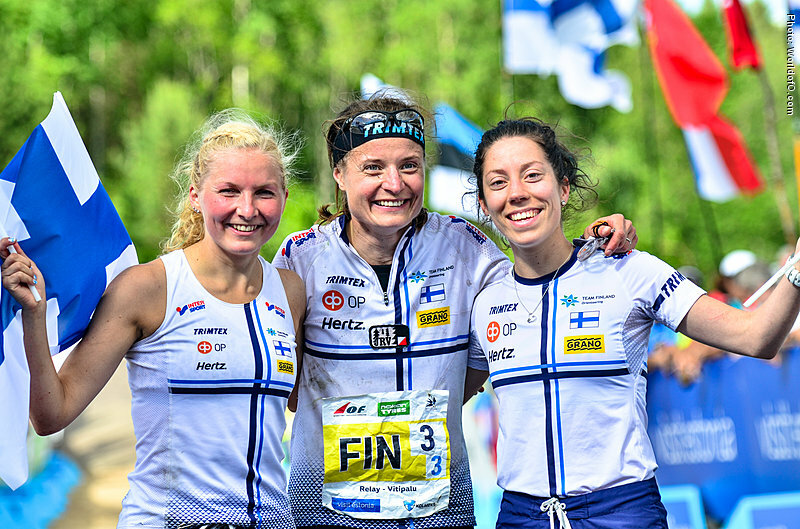 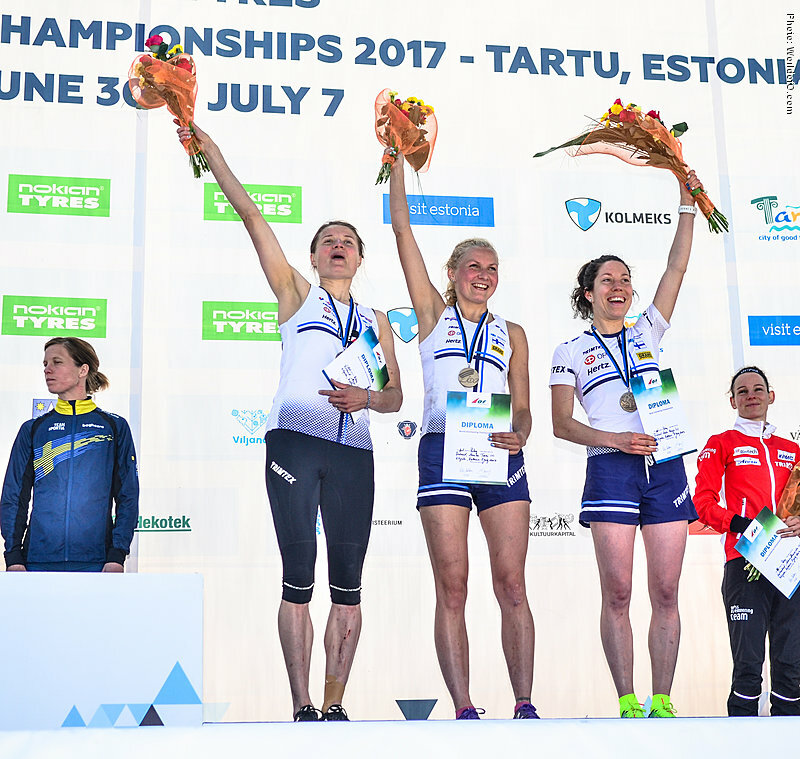 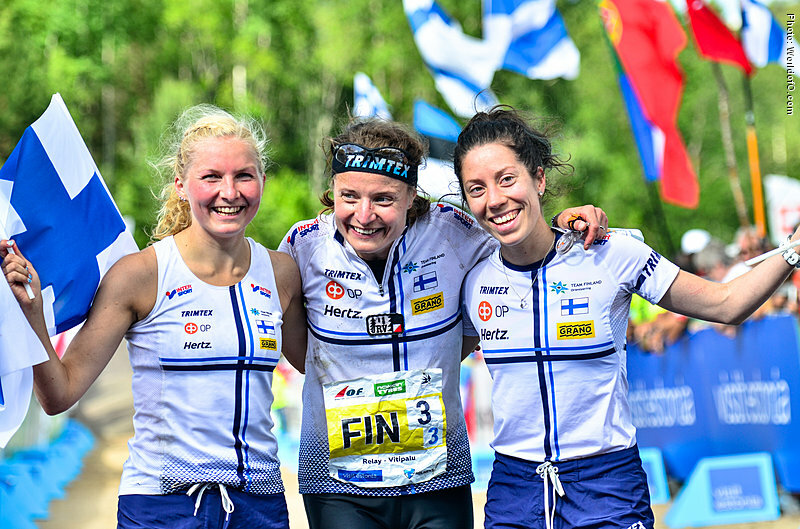 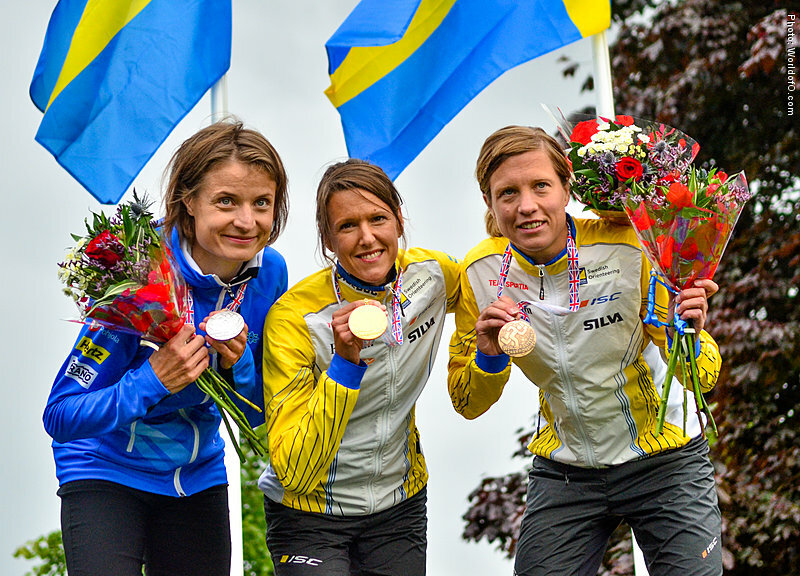 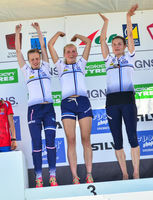 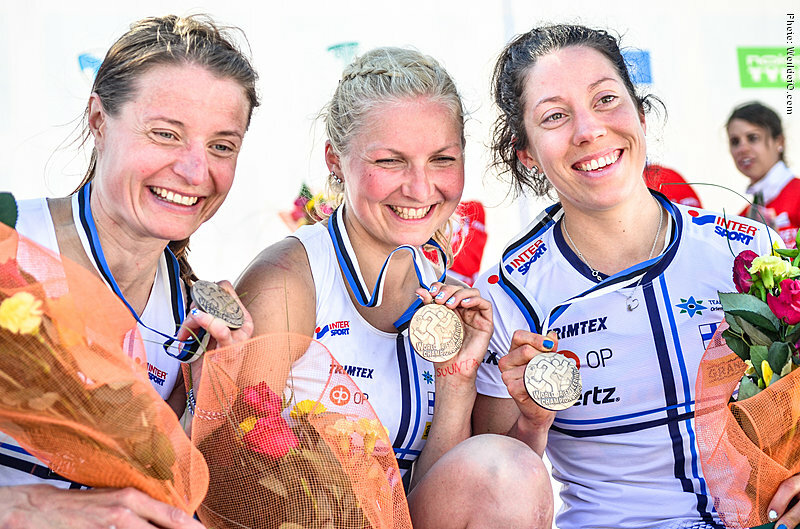 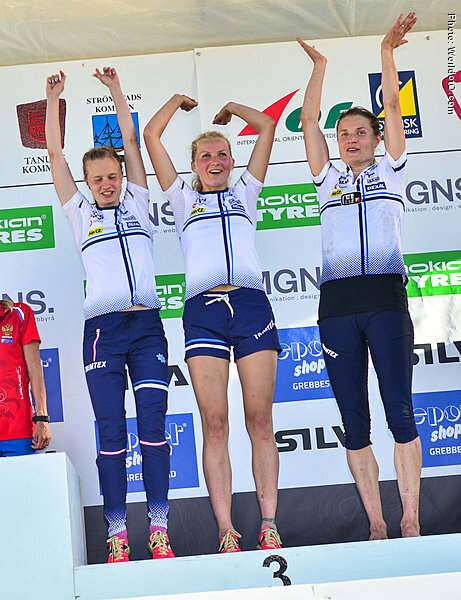 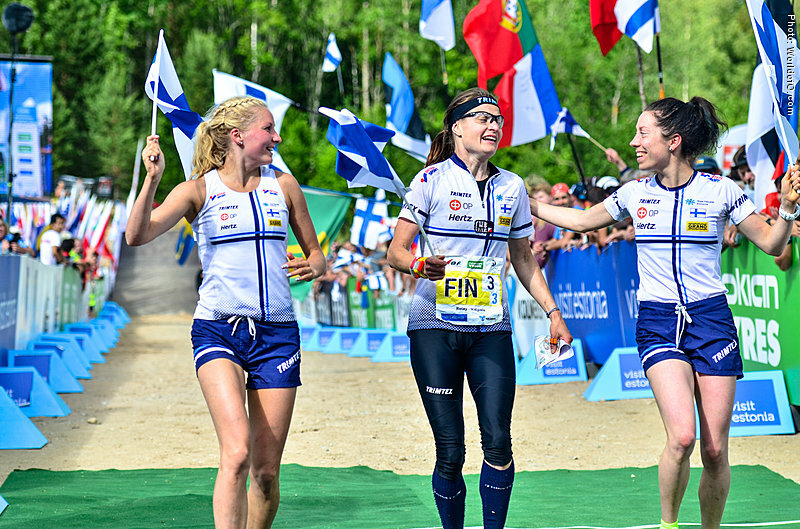 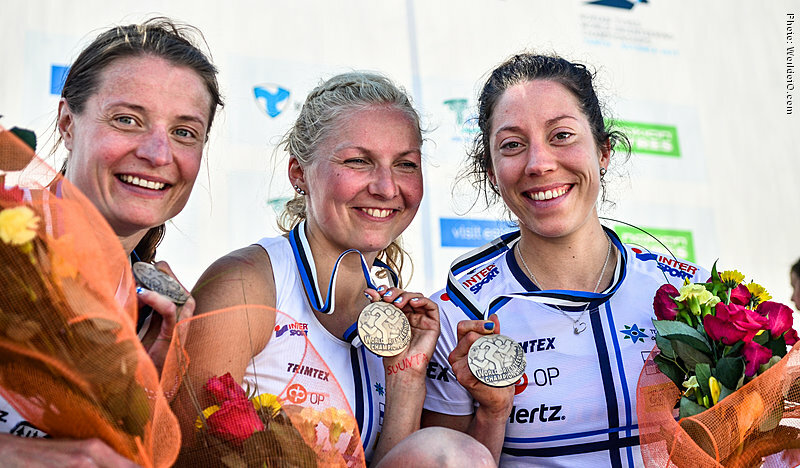 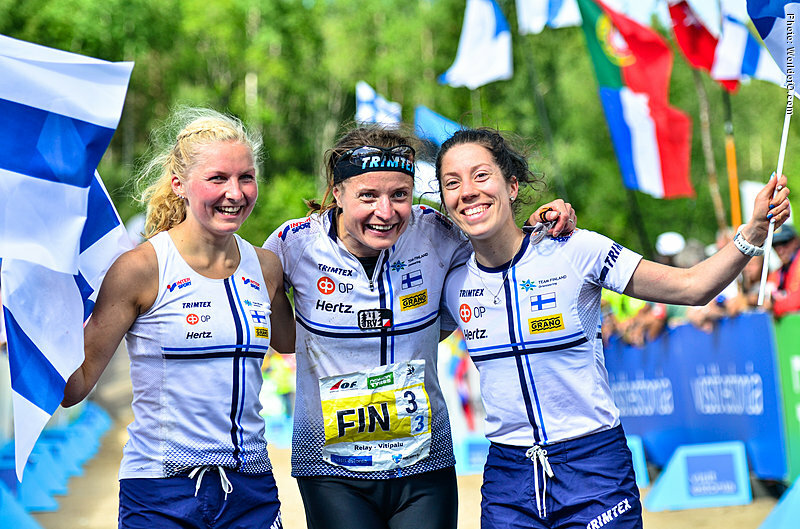 Important part of the Finnish relay team, winning gold at the World Championships in 2008, 2010 and 2011. 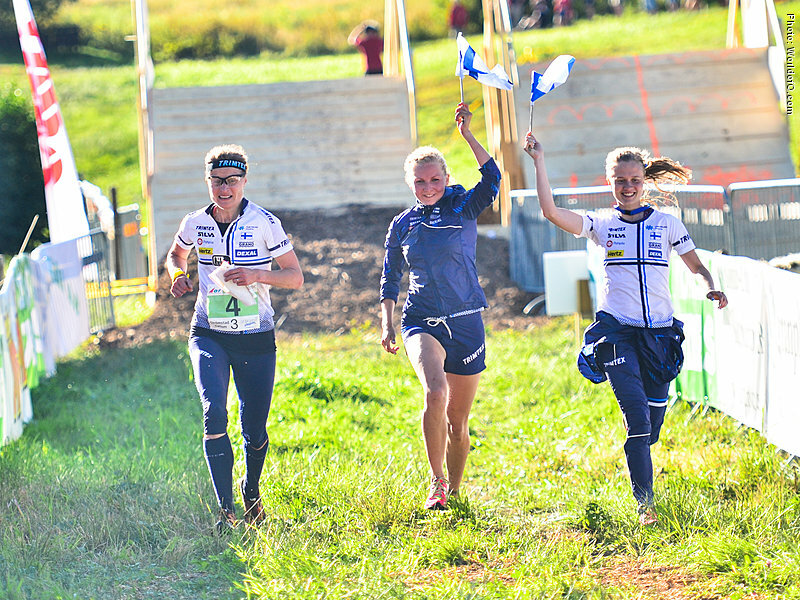 Also part of the surprise Finnish EOC winning team in 2016 in Czech Republic. 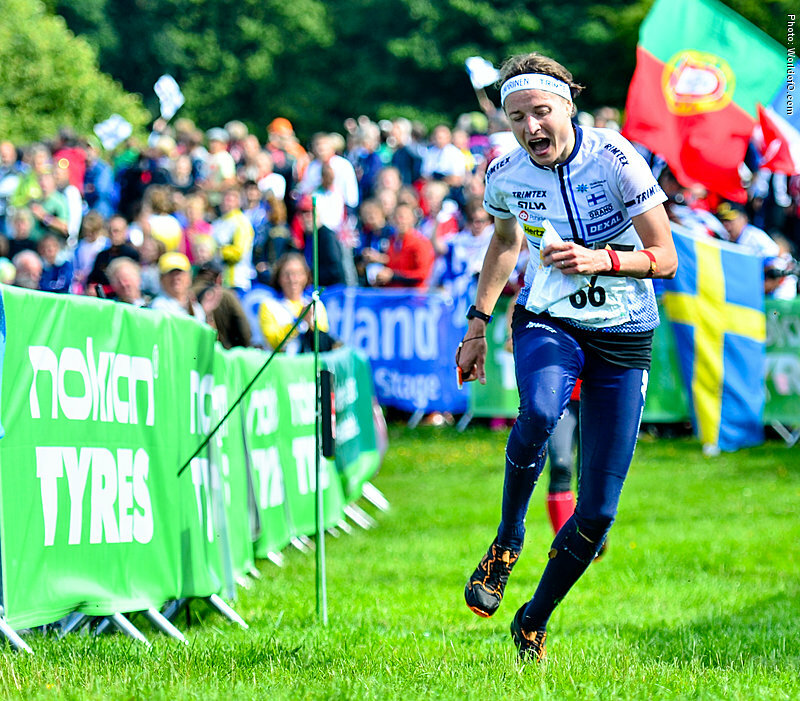 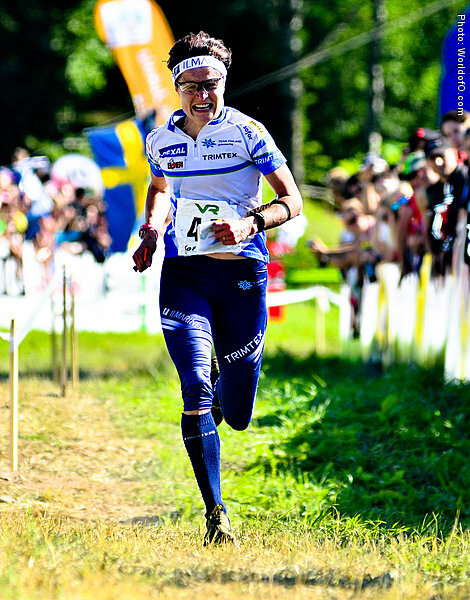 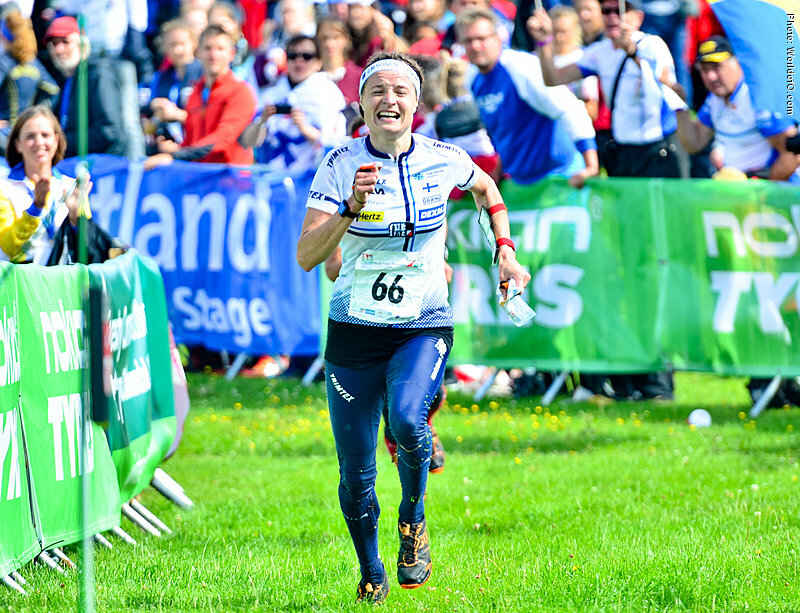 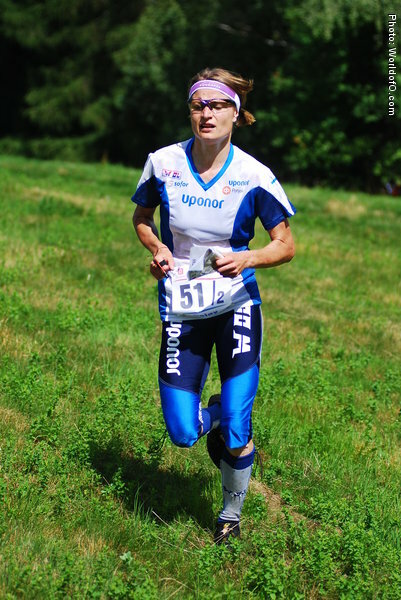 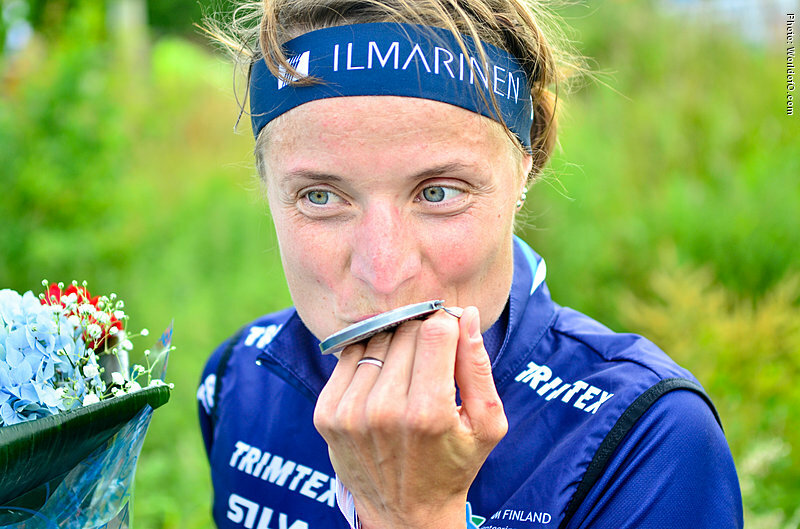 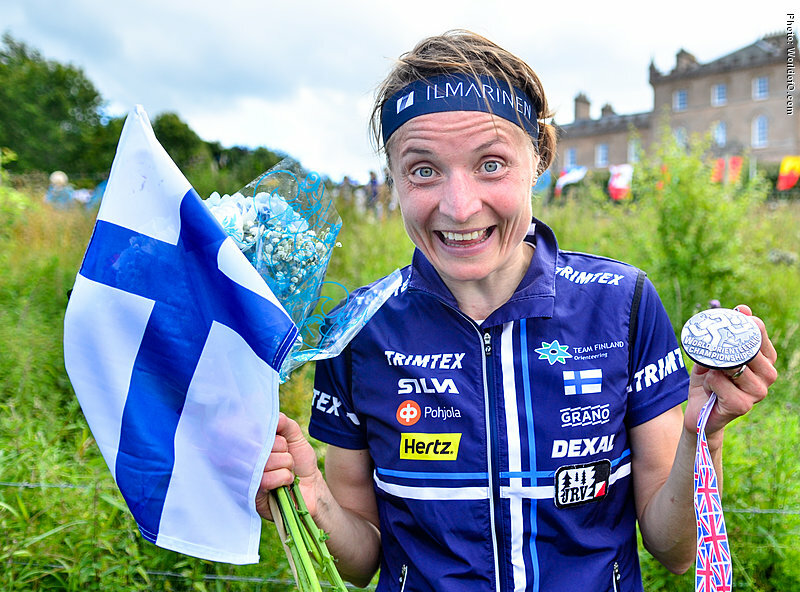 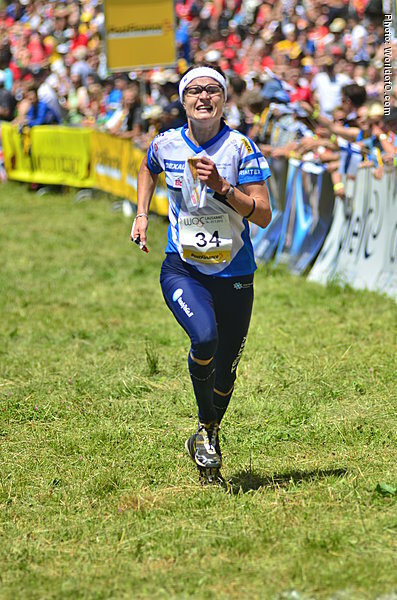 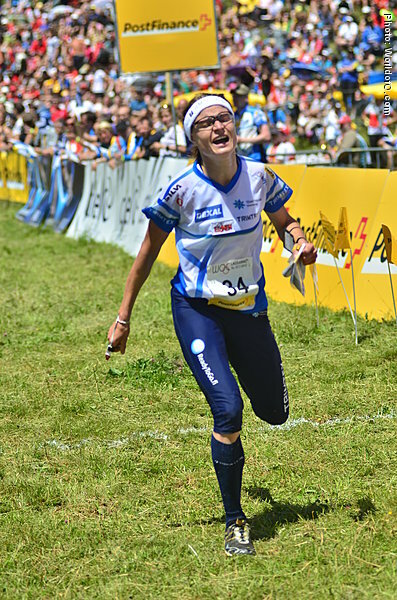 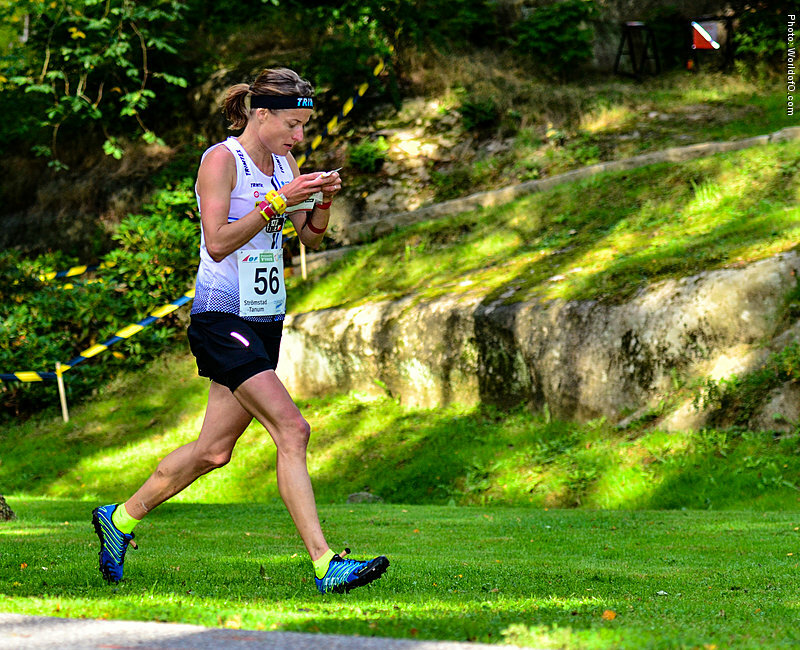 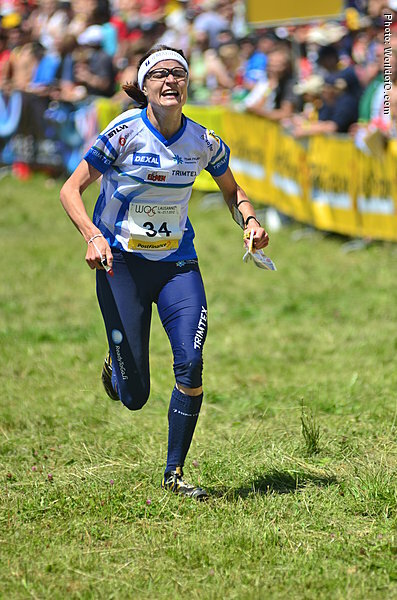 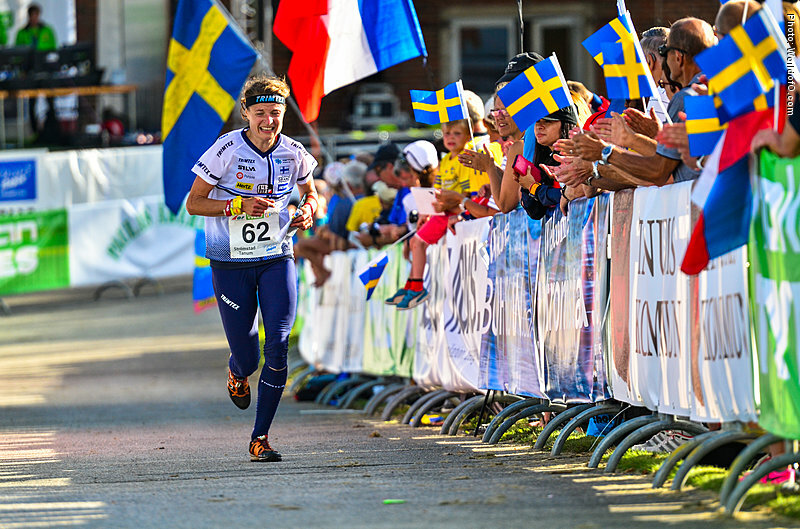 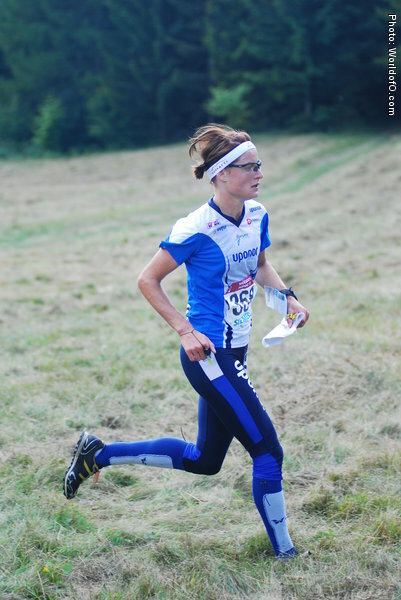 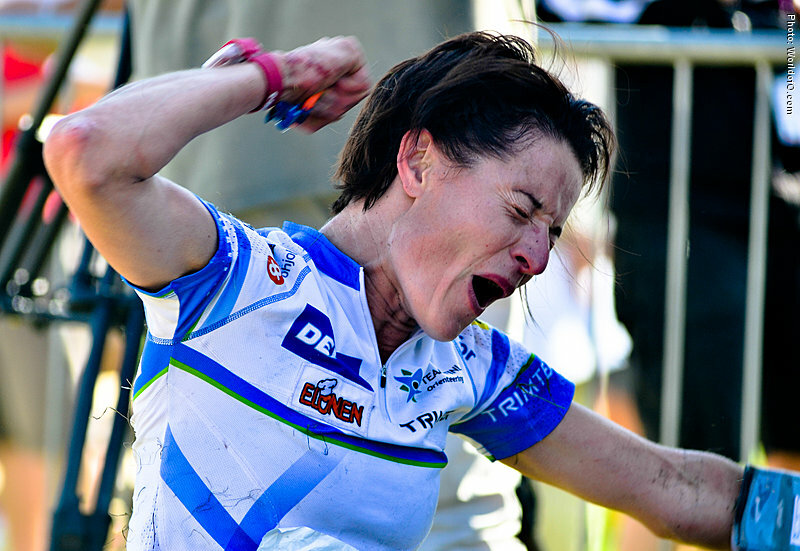 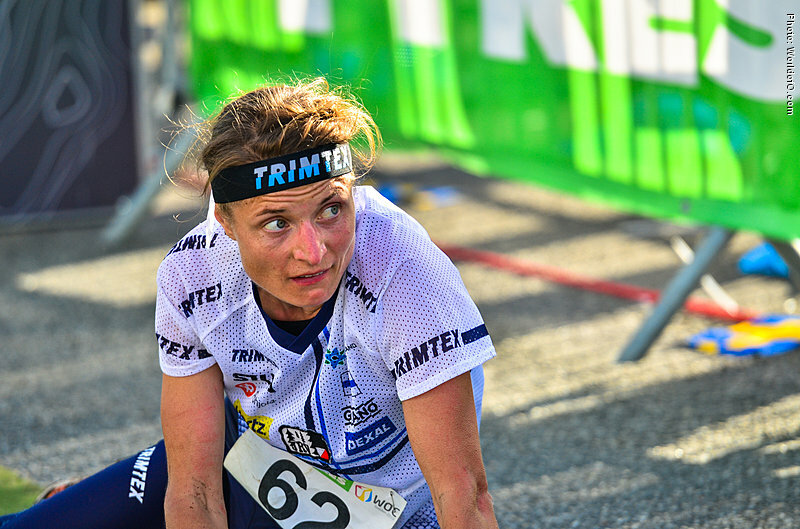 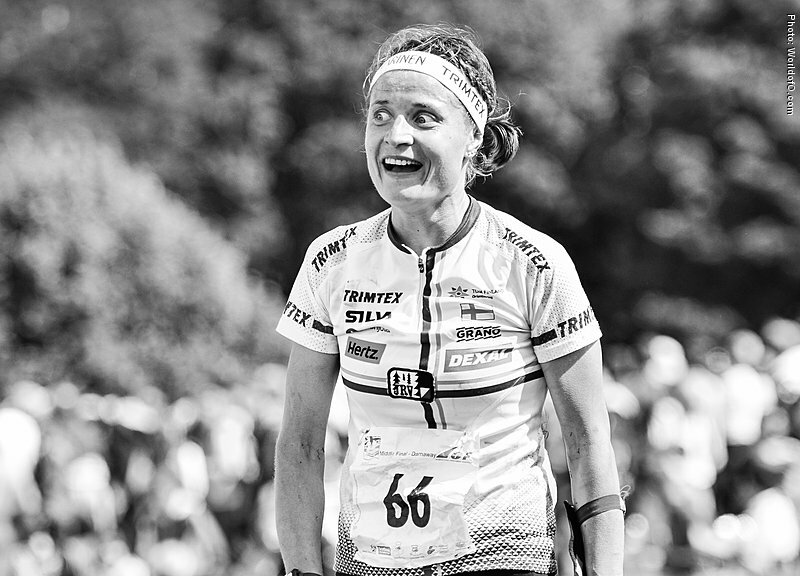 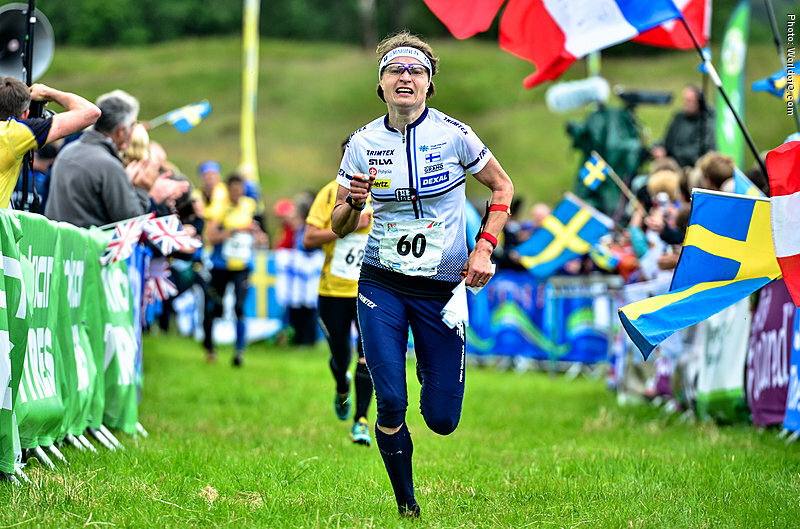 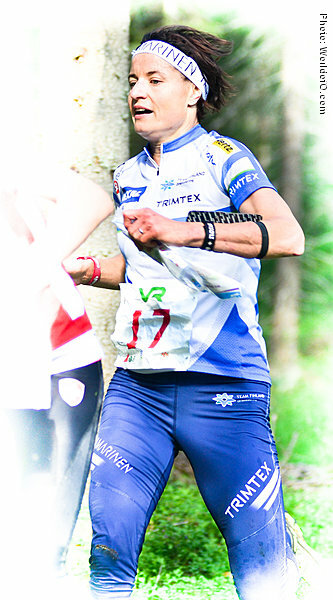 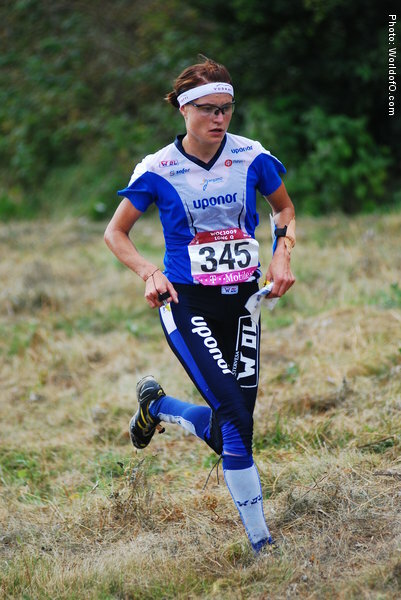 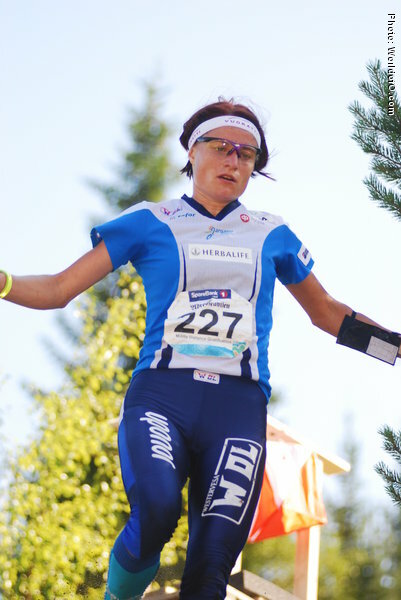 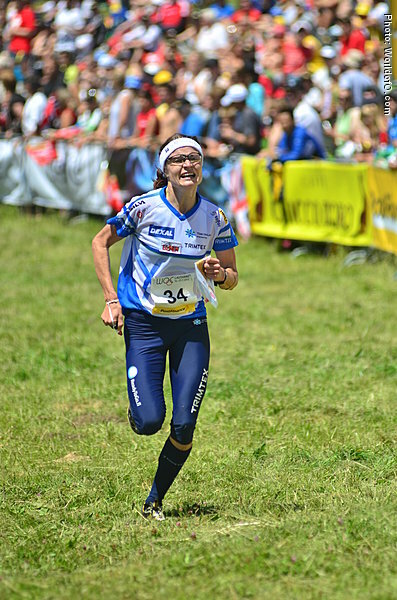 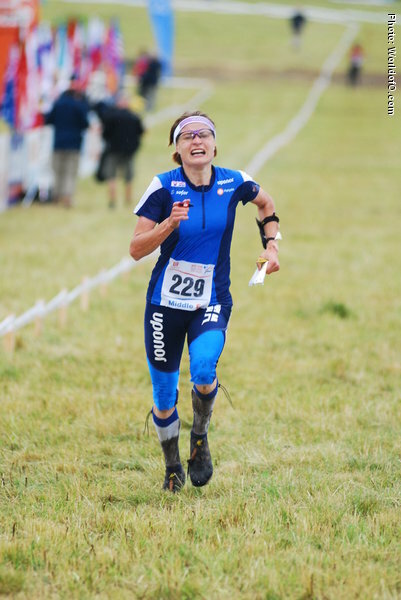 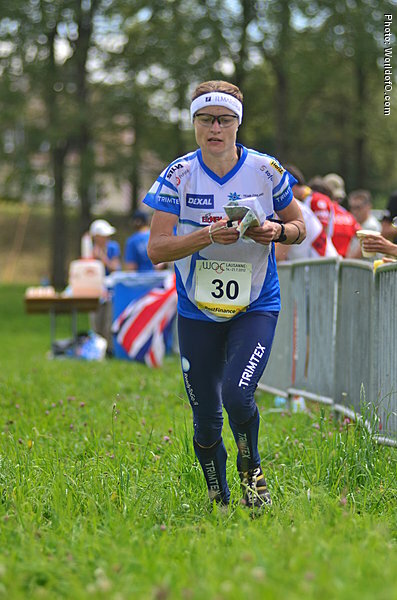 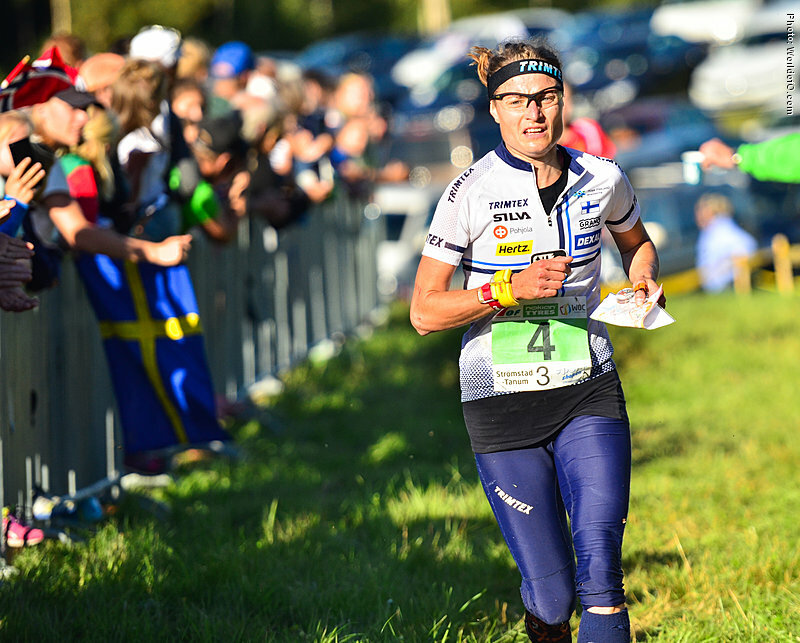 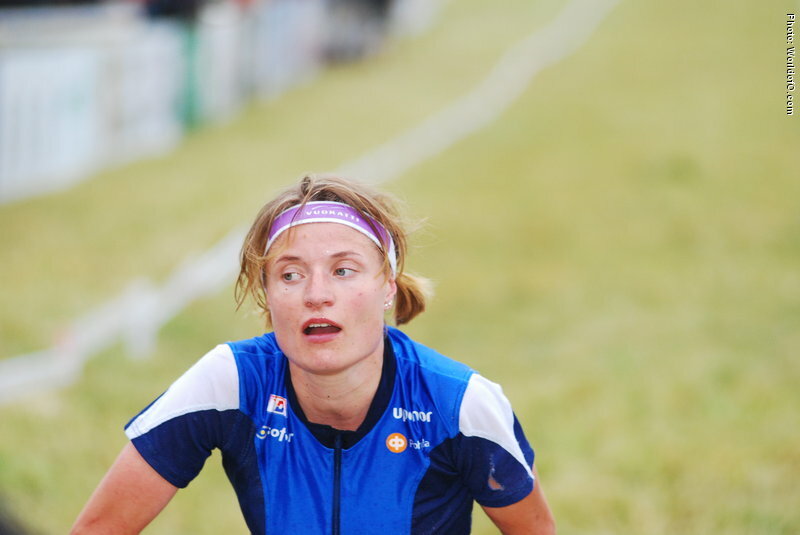 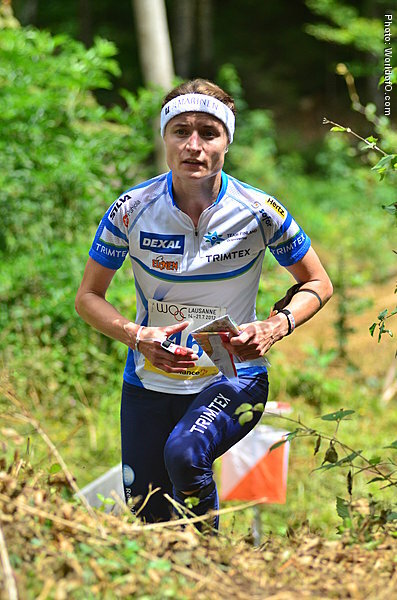 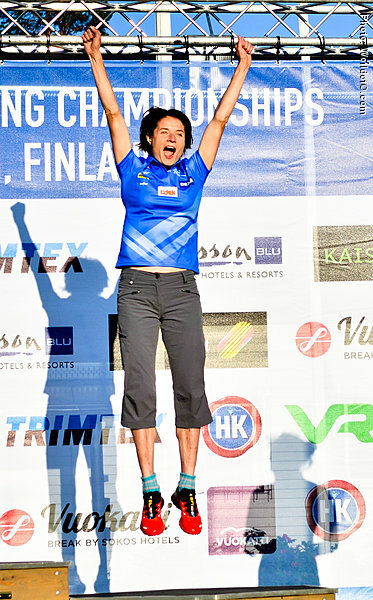 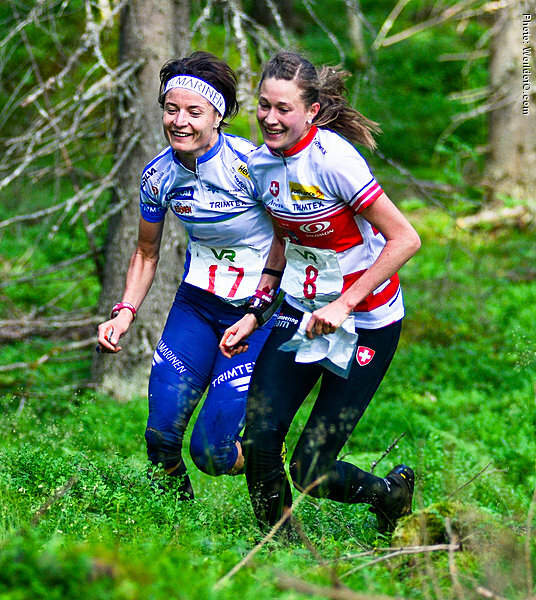 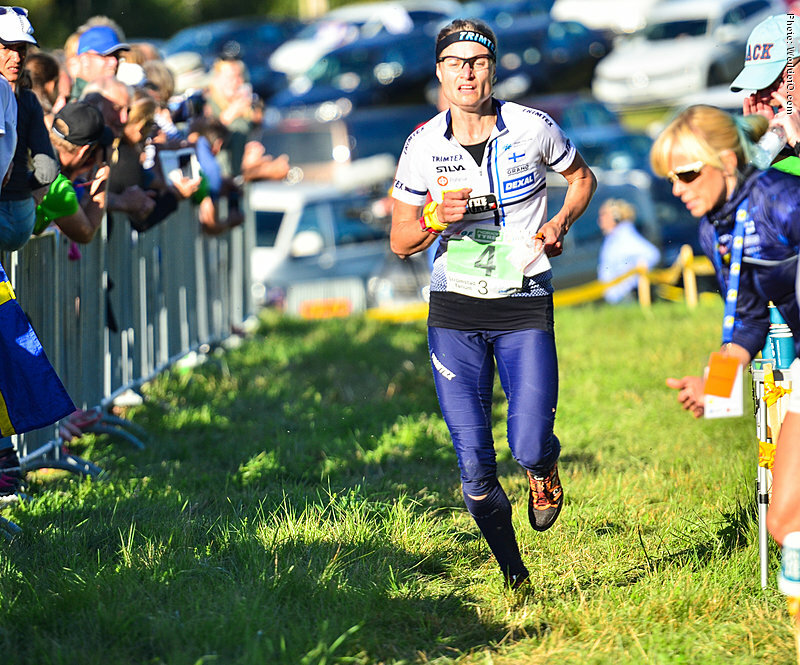 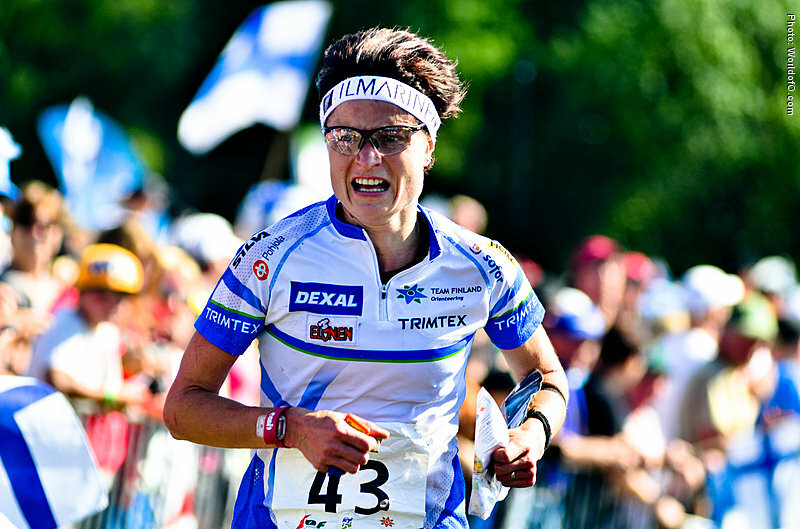 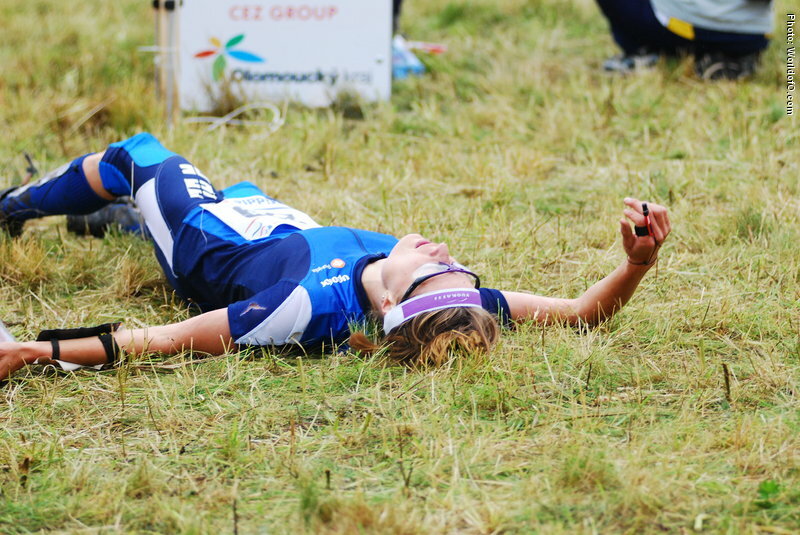 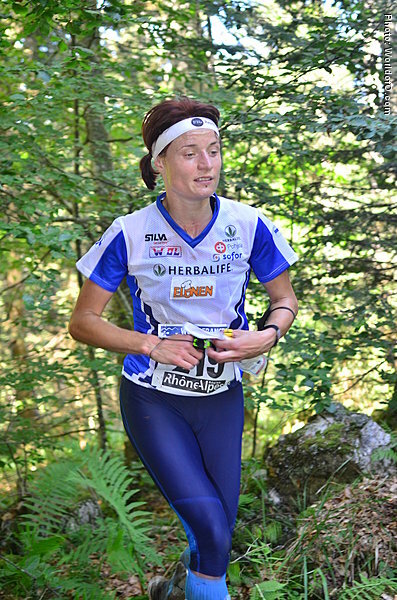 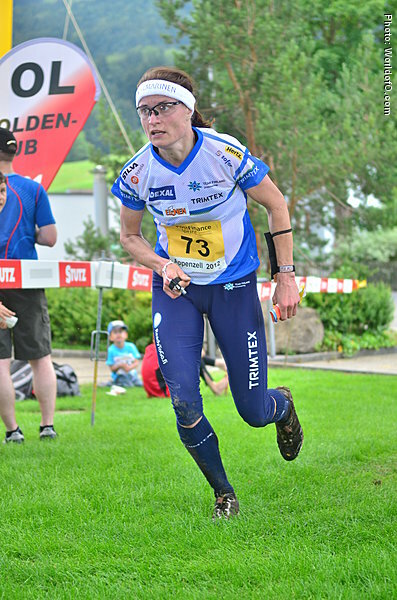 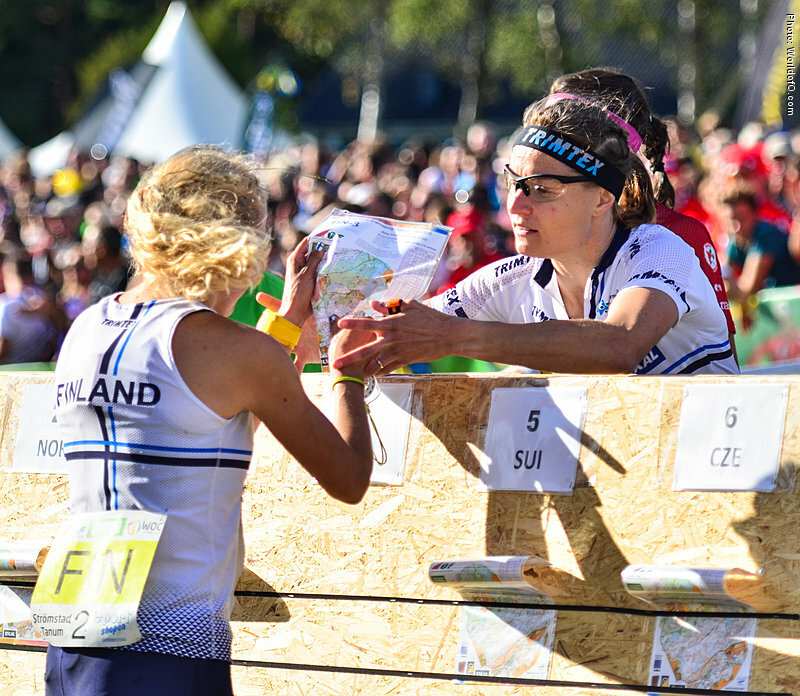 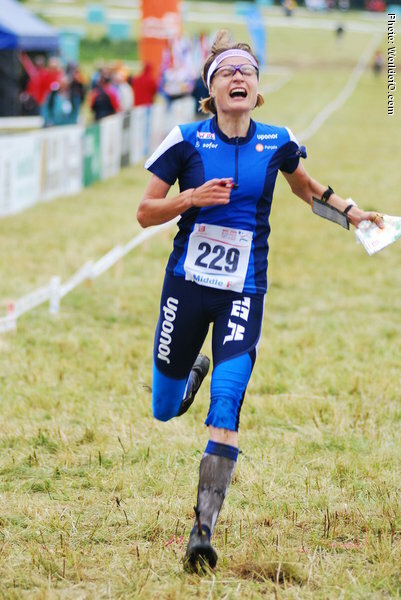 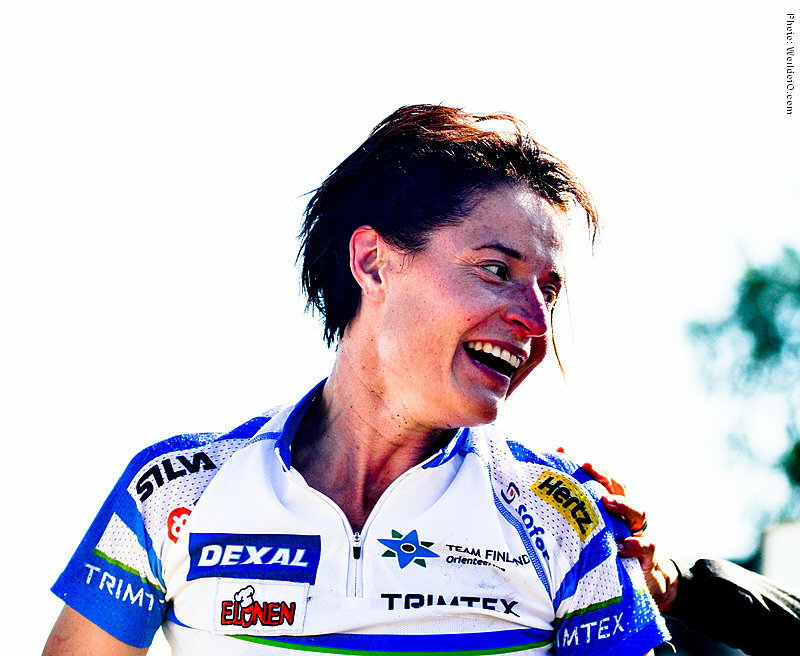 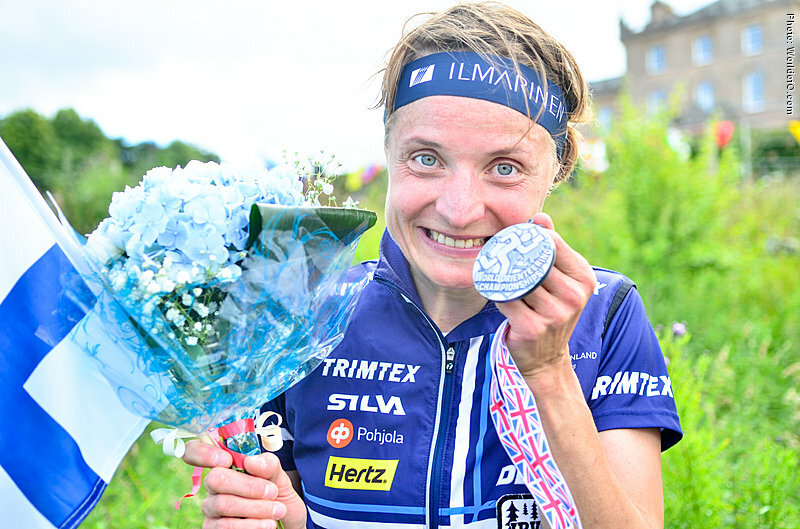 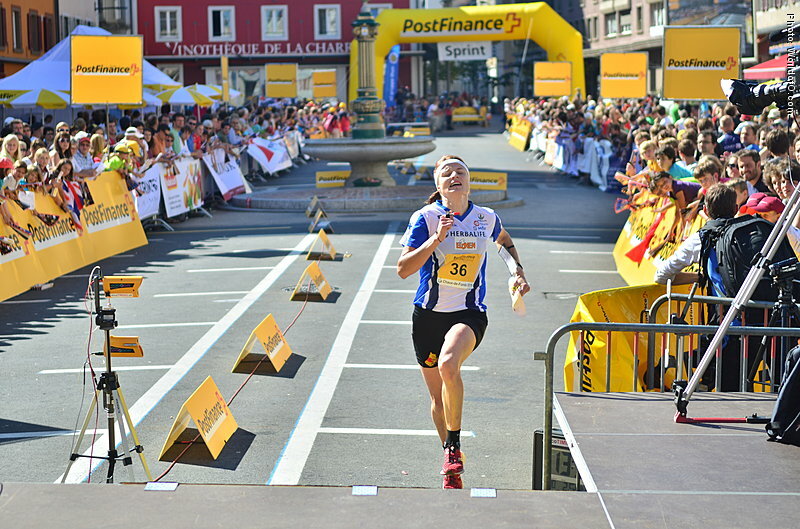 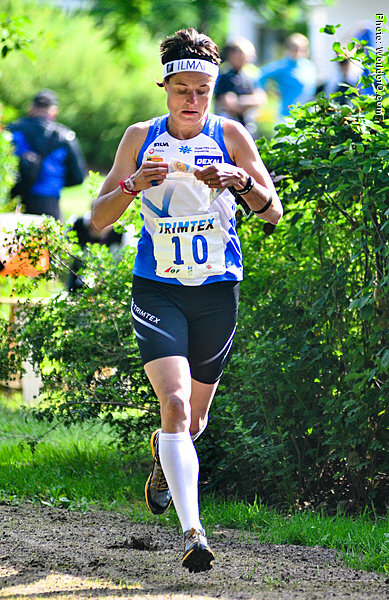 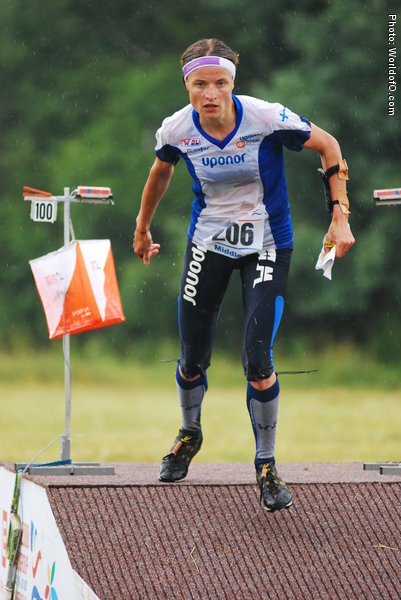 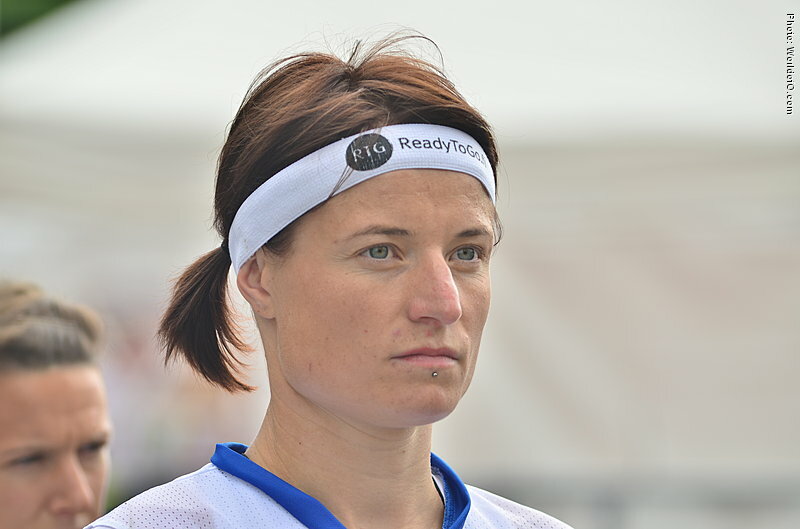 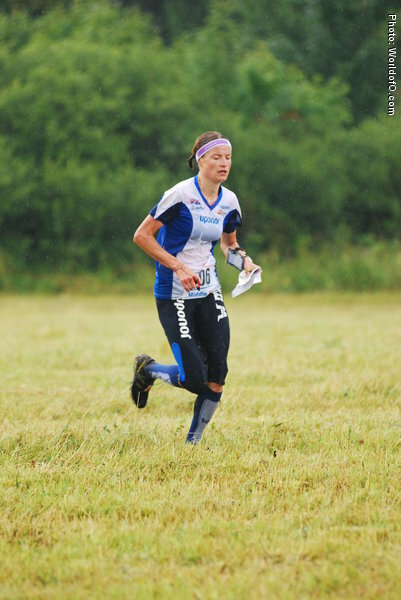 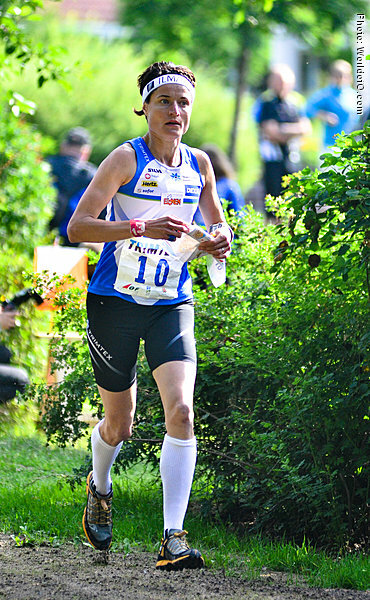 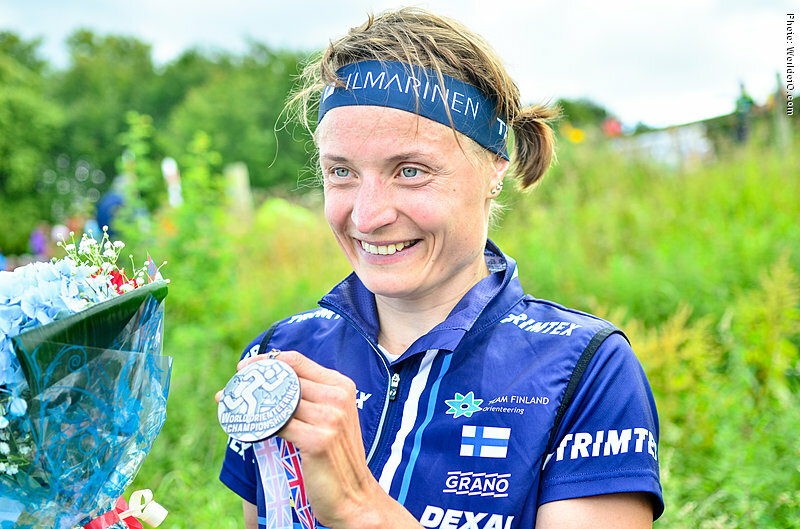 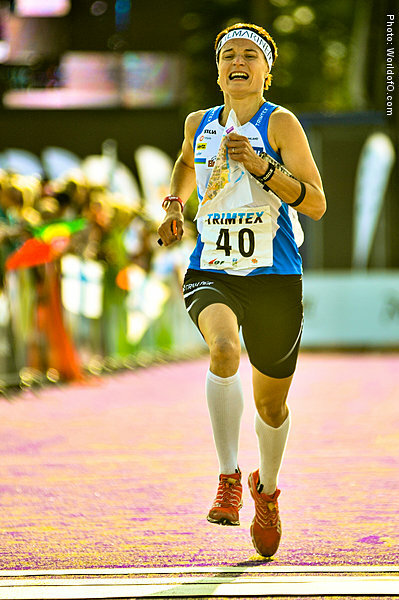 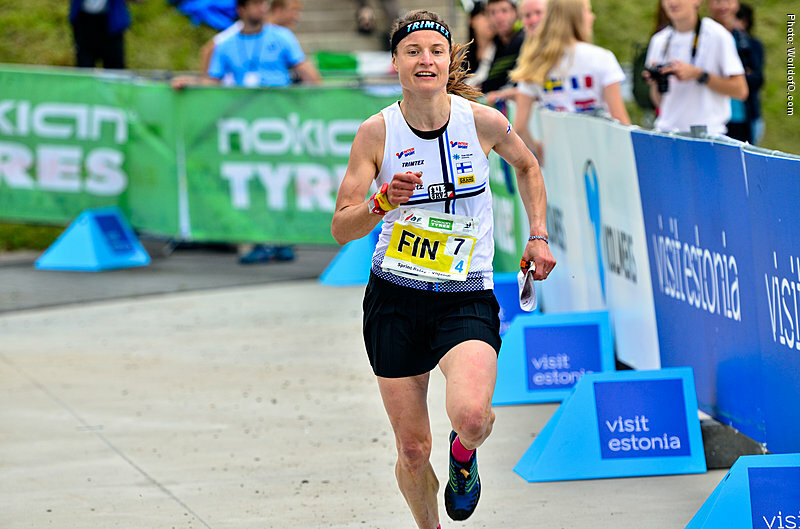 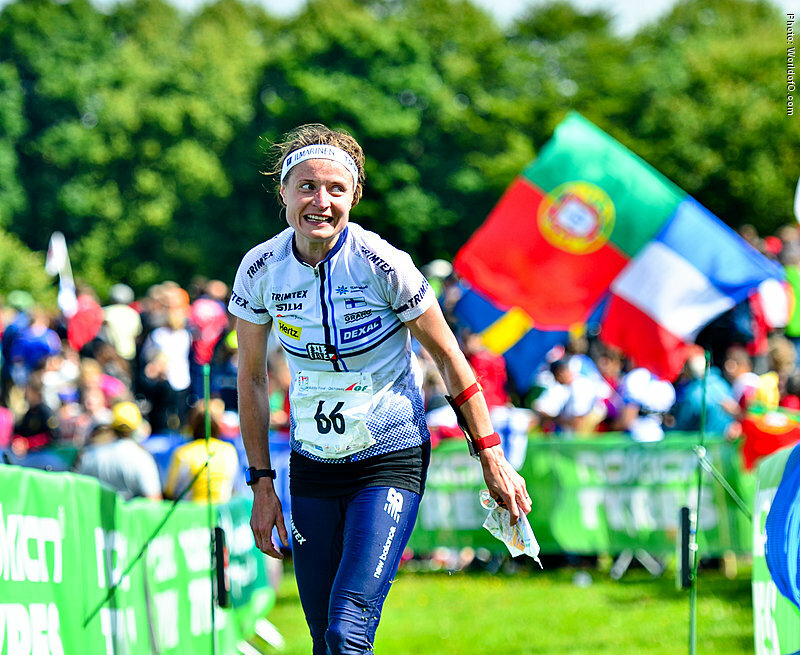 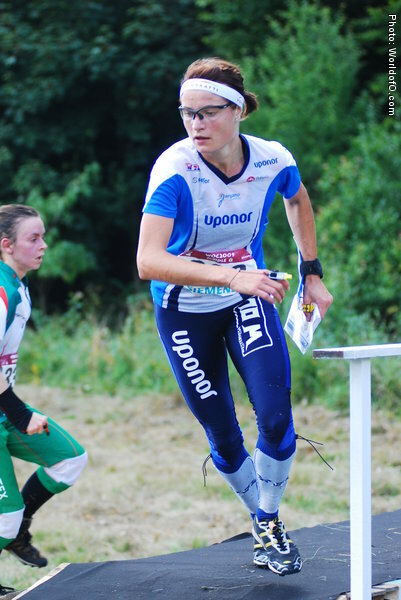 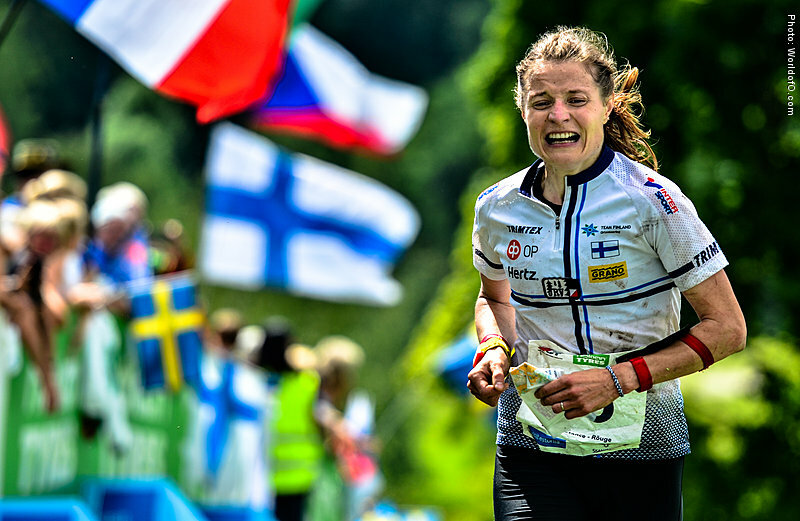 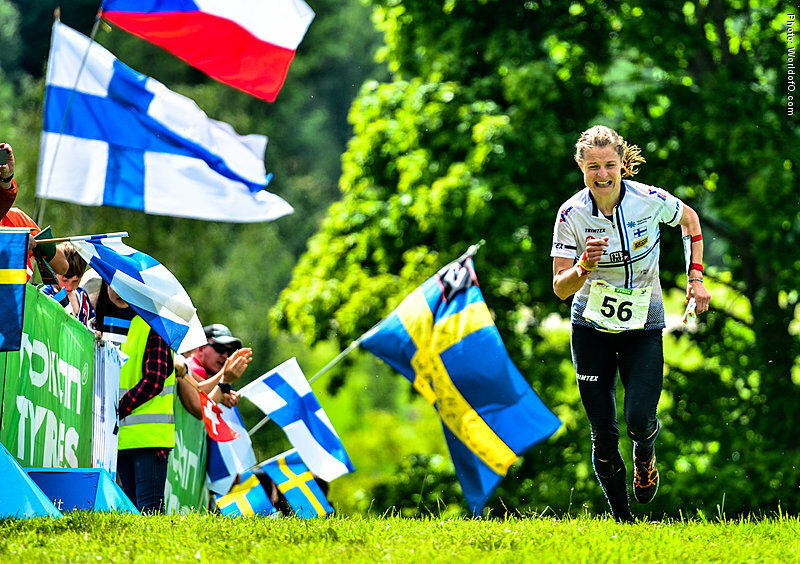 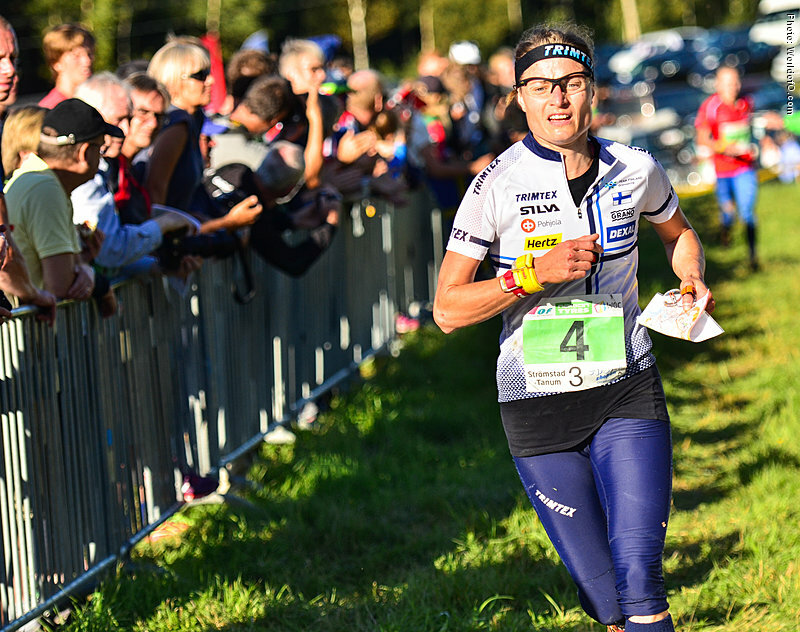 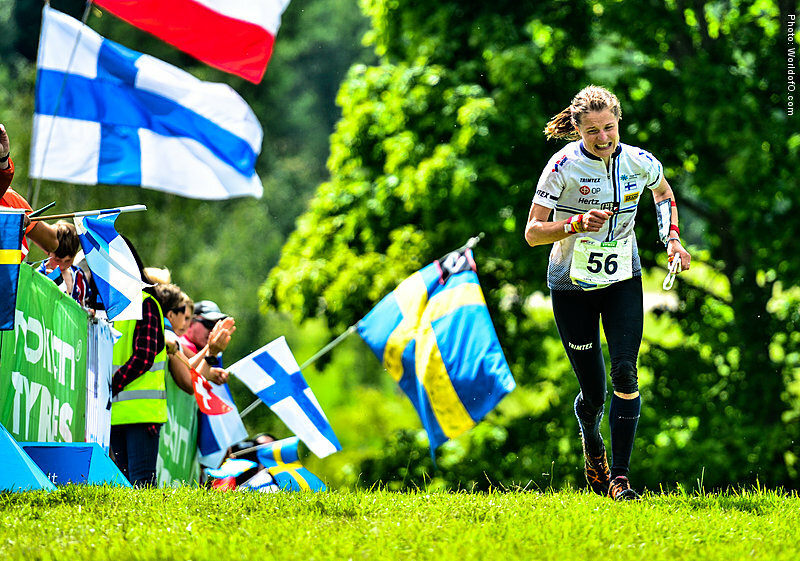 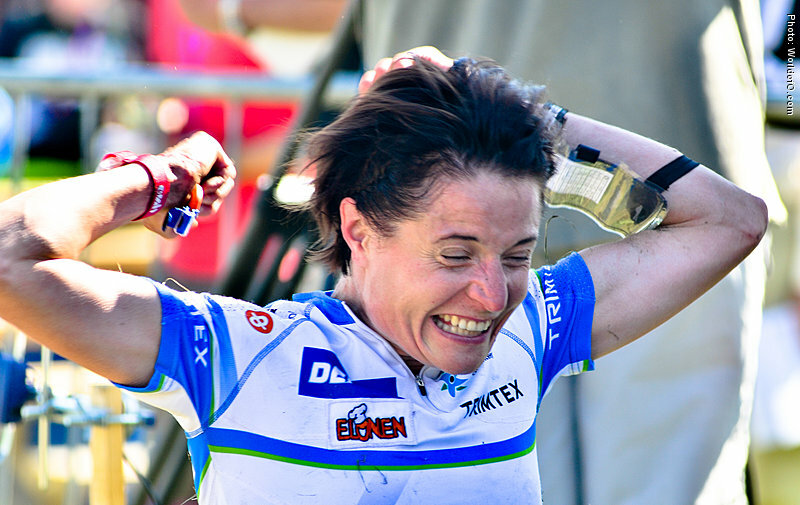 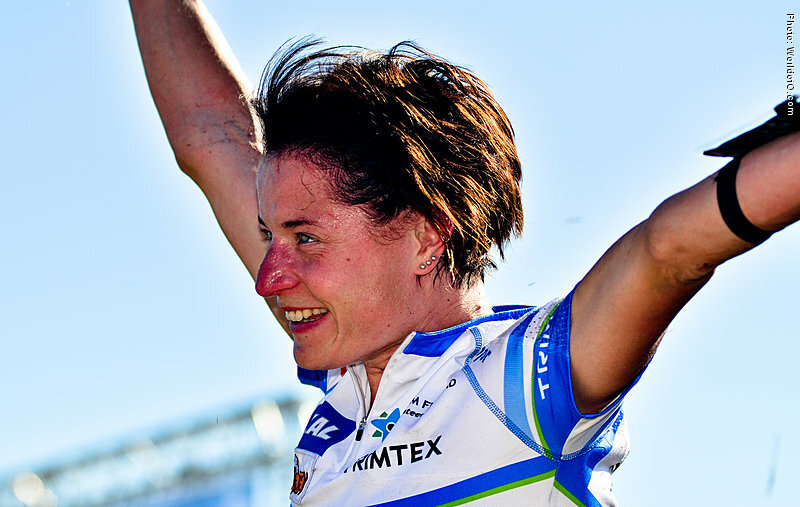 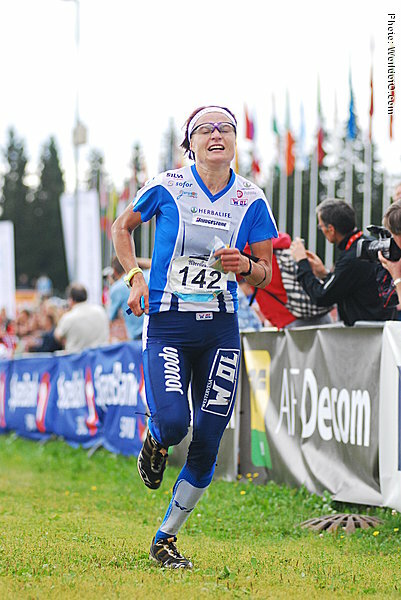 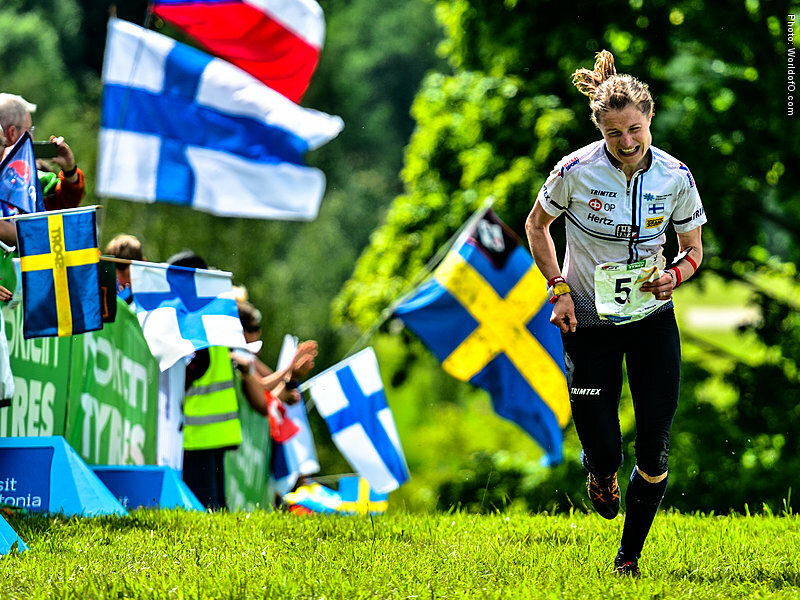 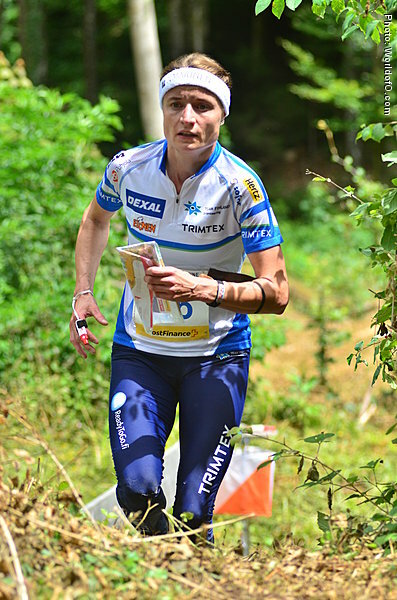 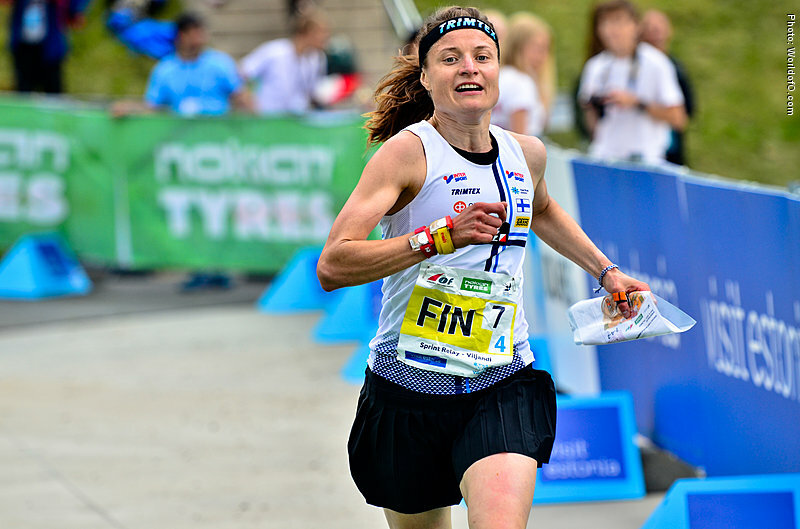 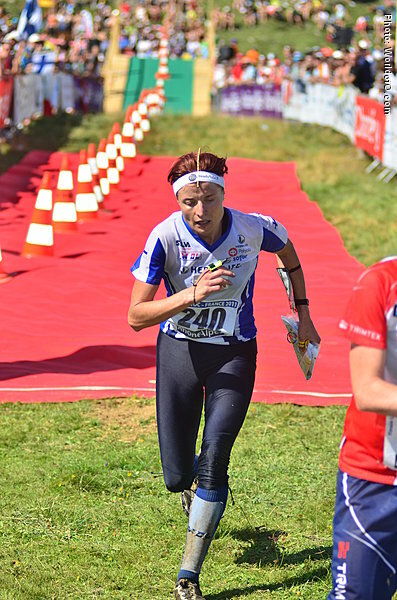 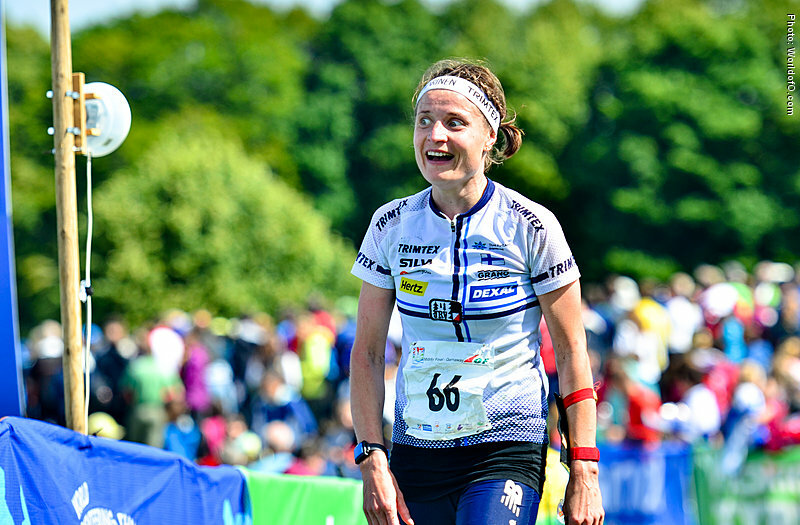 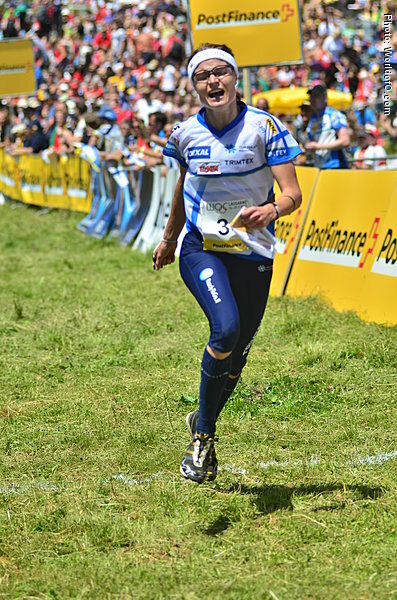 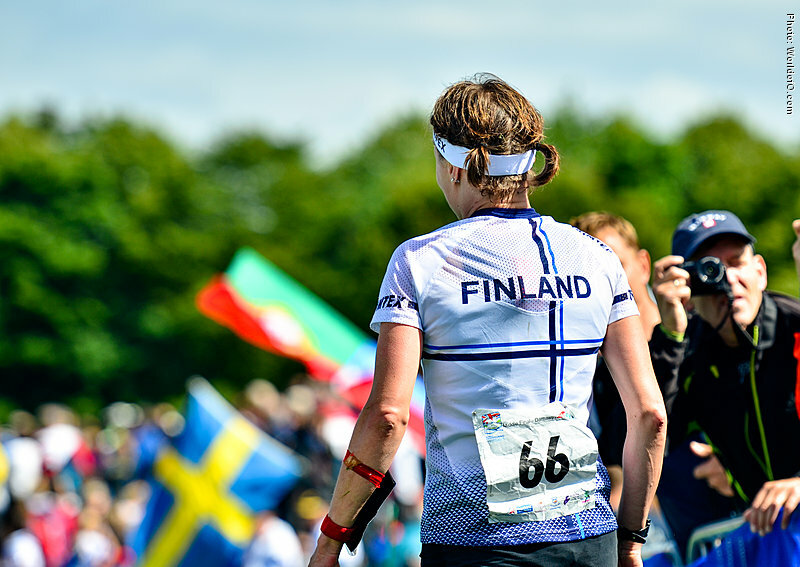 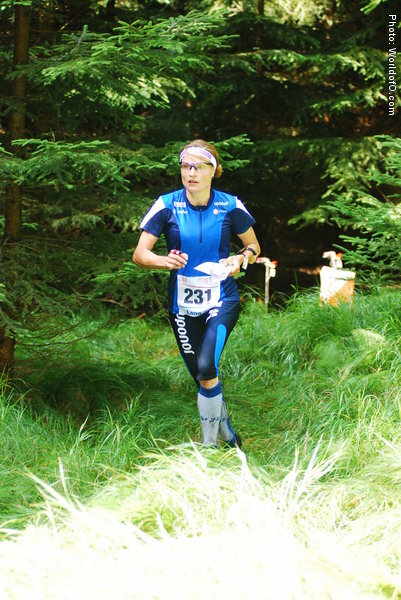 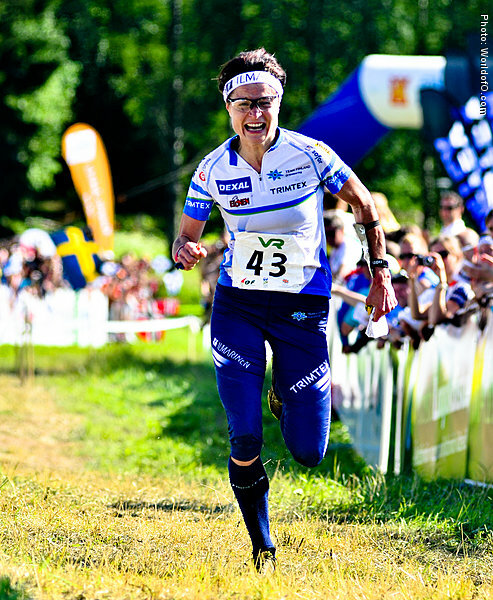 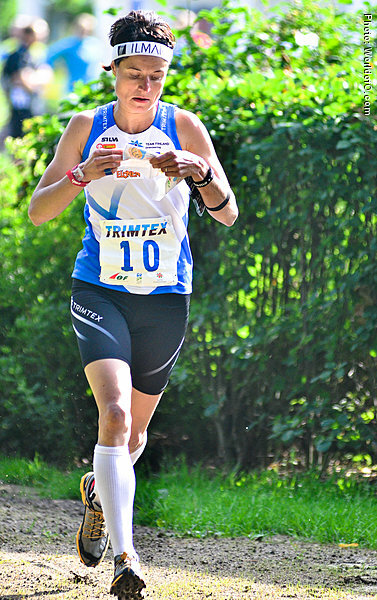 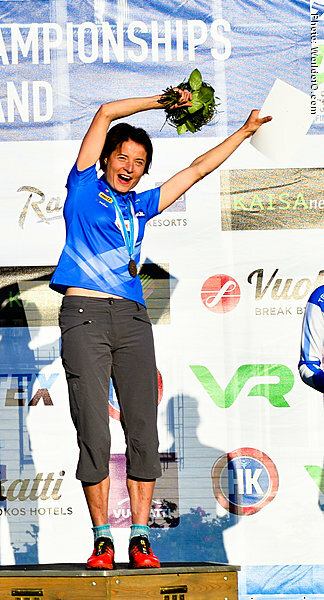 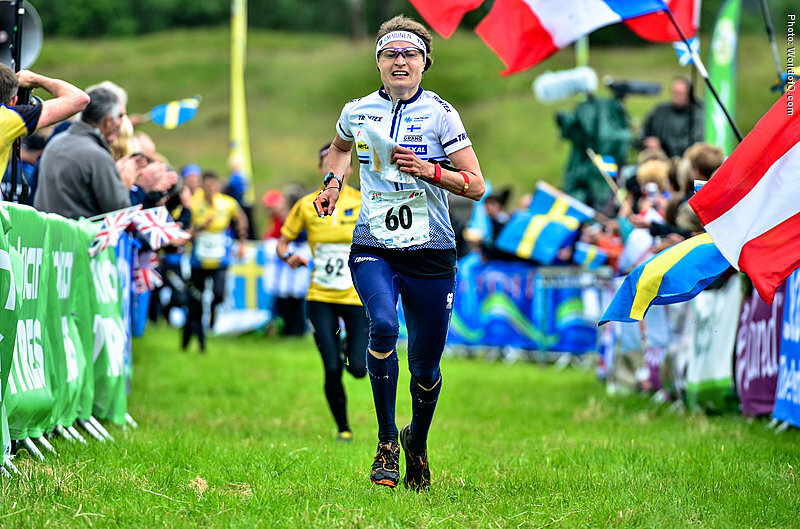 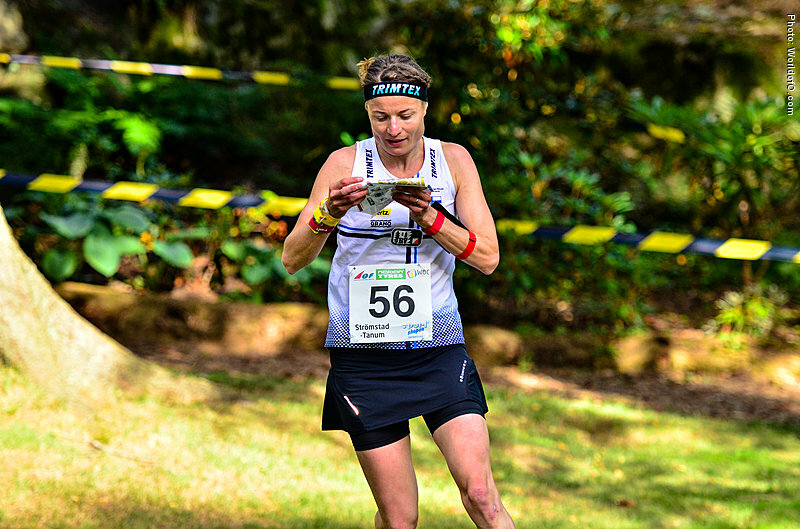 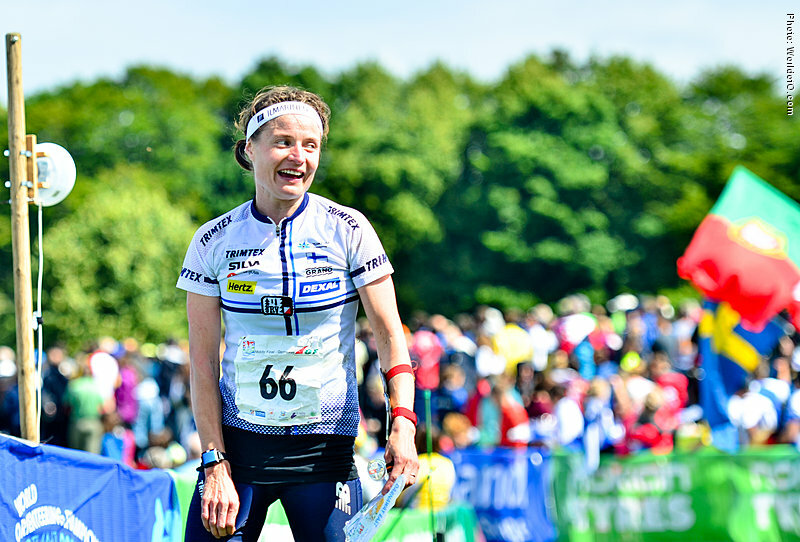 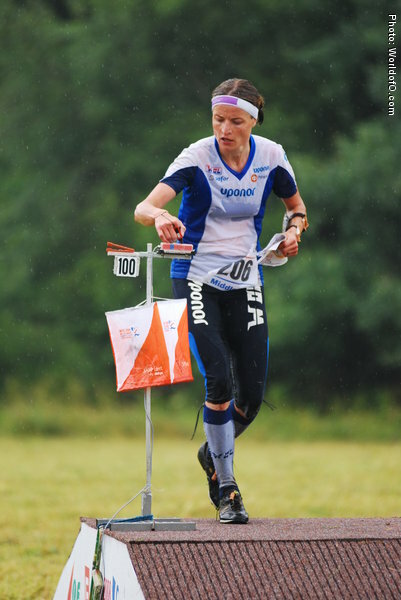 Nominated for the Orienteering Achievement of the Year in 2008 after winning the silver medal at EOC middle distance and winning the gold medal with her team at the WOC relay. 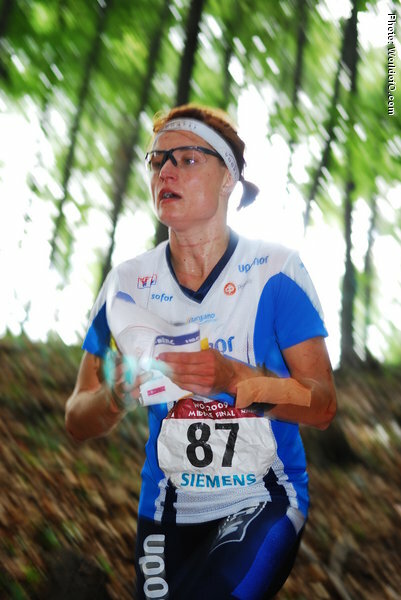 That was also her breakthrough into the orienteering elite. 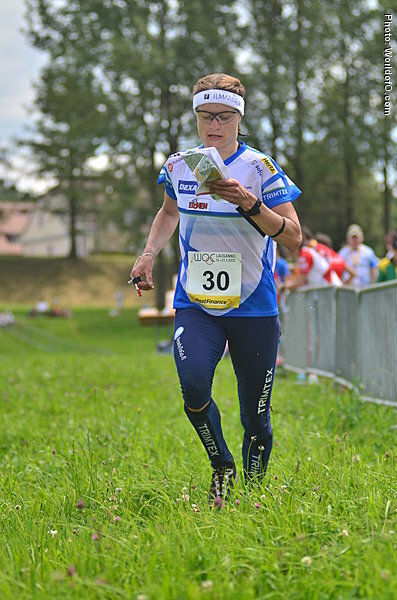 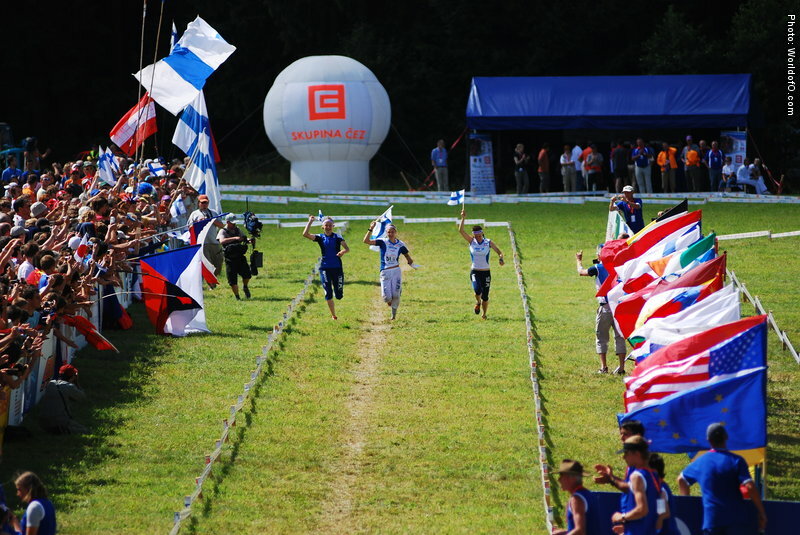 Professional orienteer for several years. 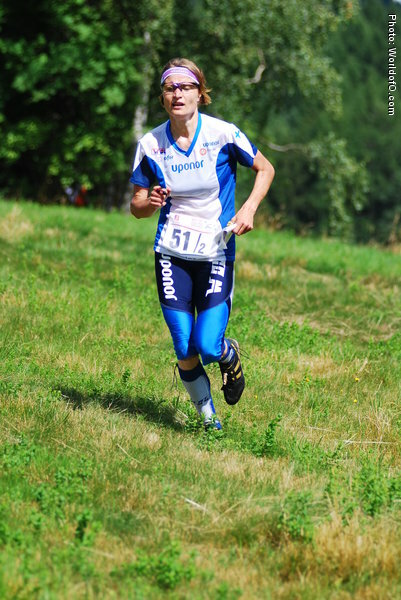 Personal best times are 10.17 on 3000 meter and 17.15 on 5000 meter. 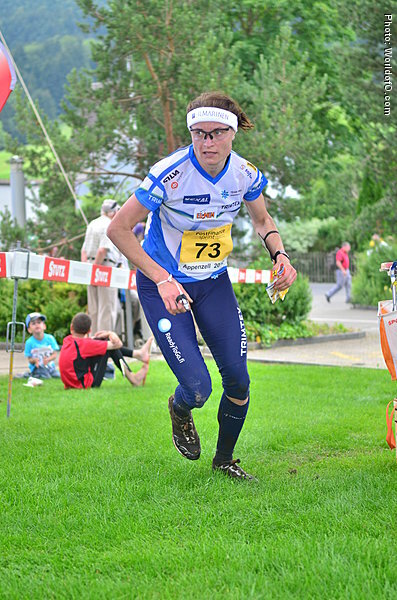 Has a son Otto born in 2007 and a daughter Elna in 2014. 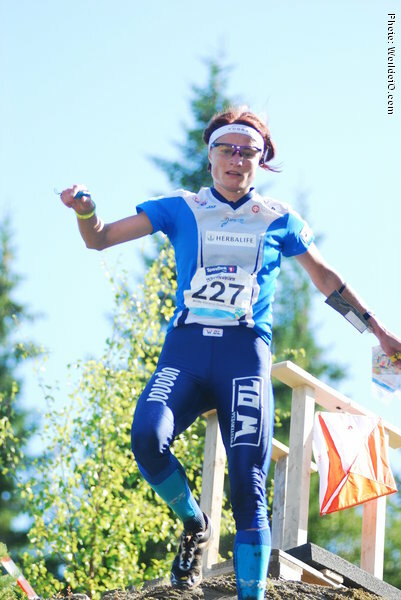 Merja Rantanen (157 times) .